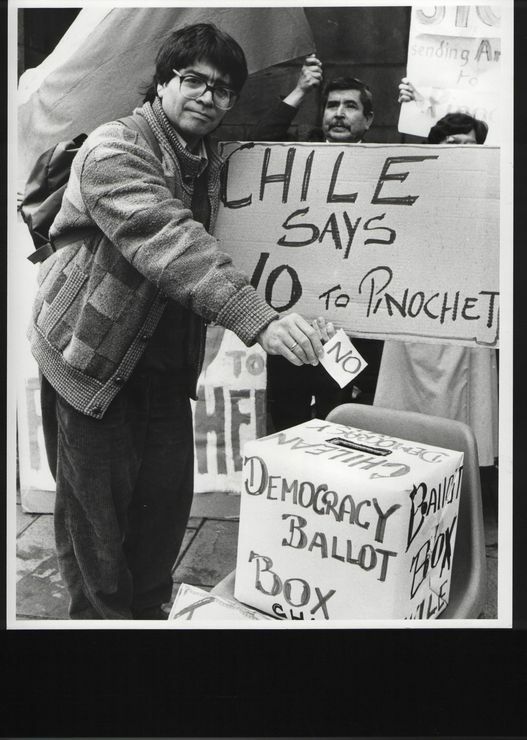 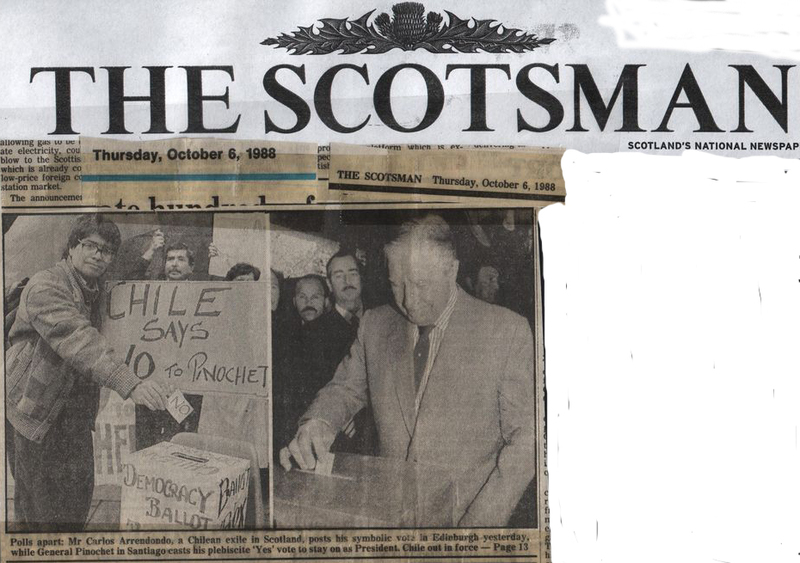 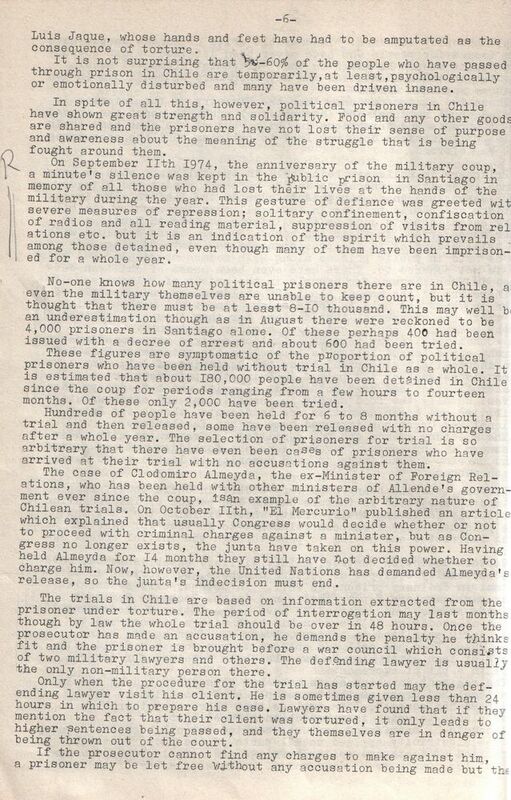 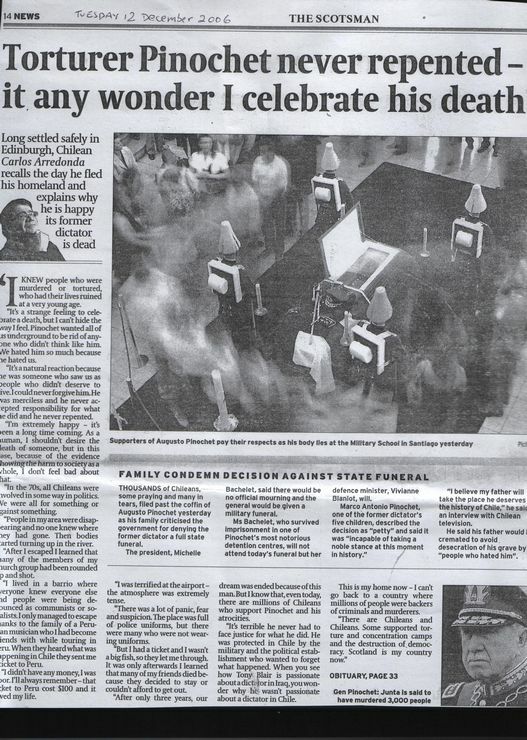 The people of Scotland were just formidable in their solidarity with the People of Chile under the bloody dictatorship of General Pinochet. 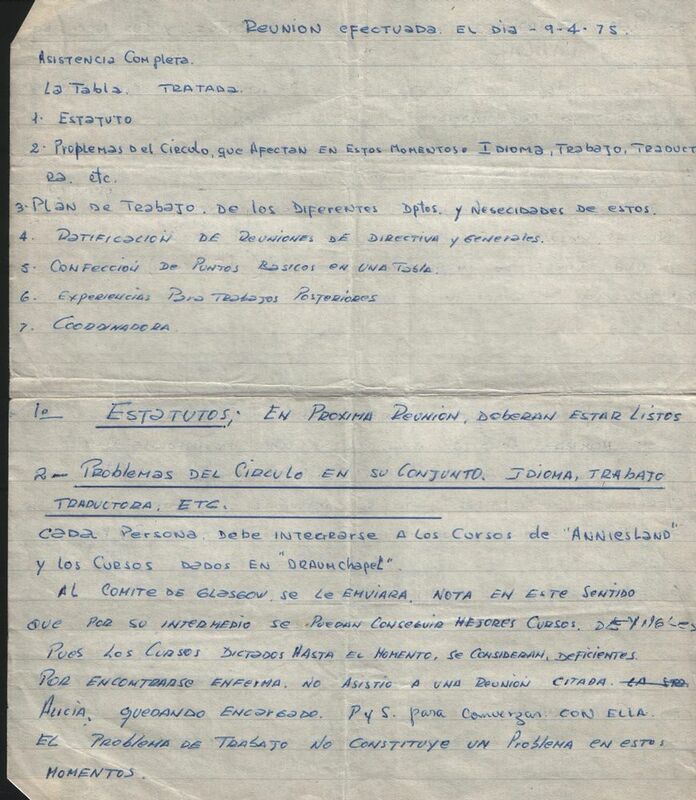 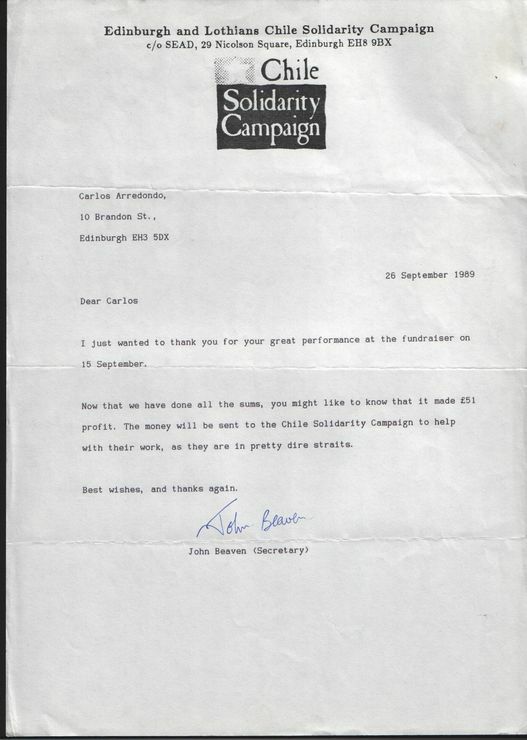 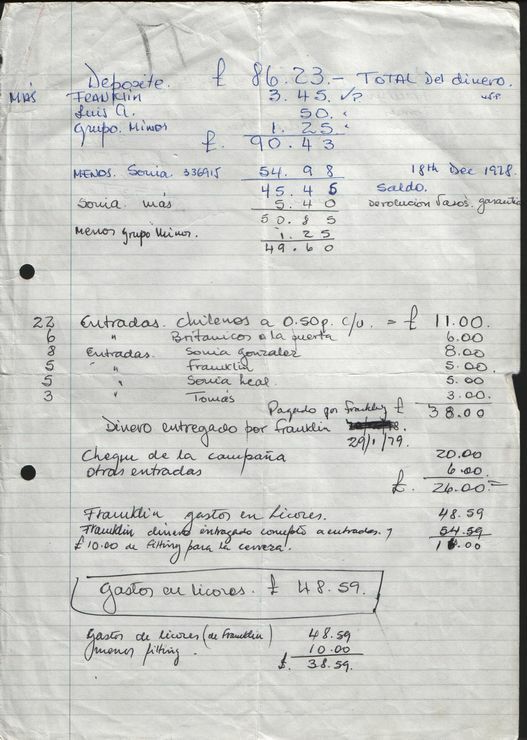 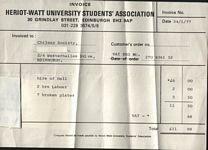 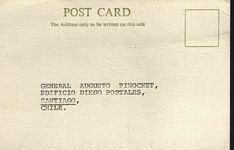 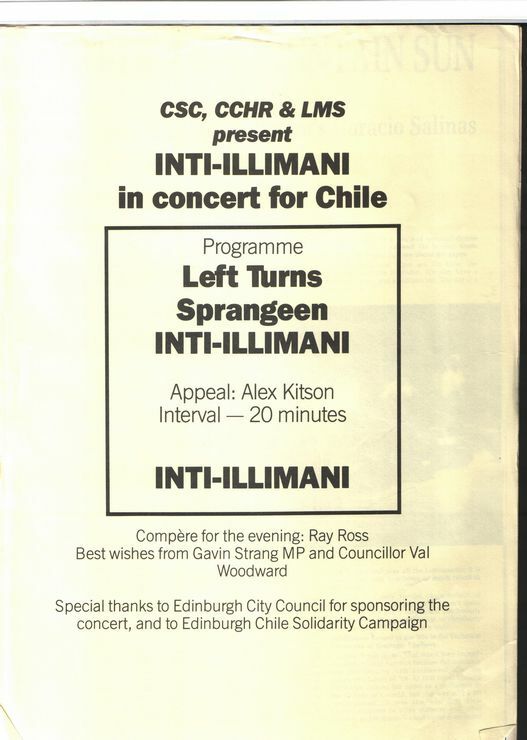 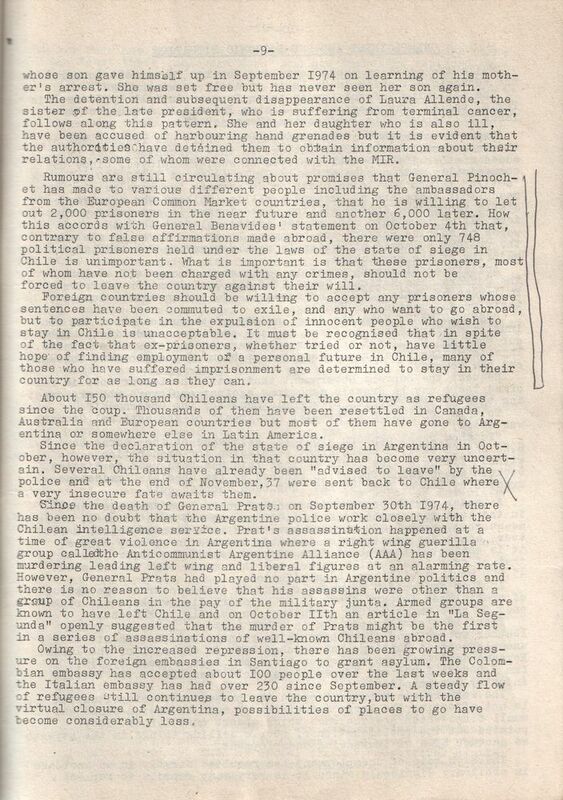 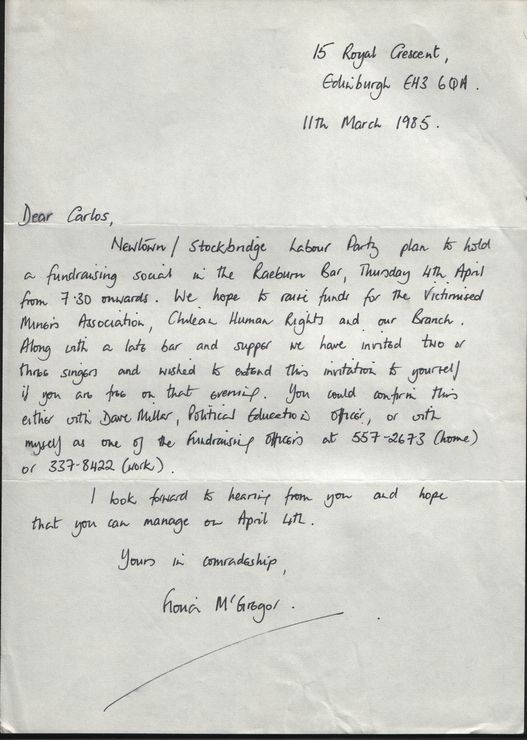 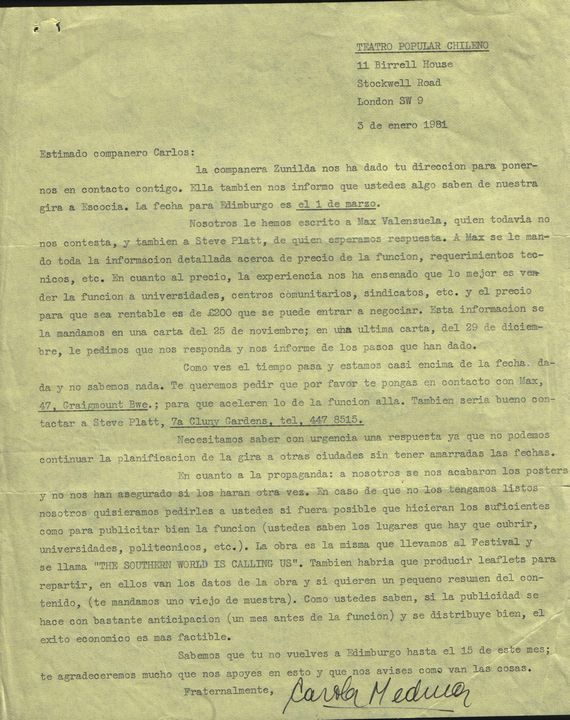 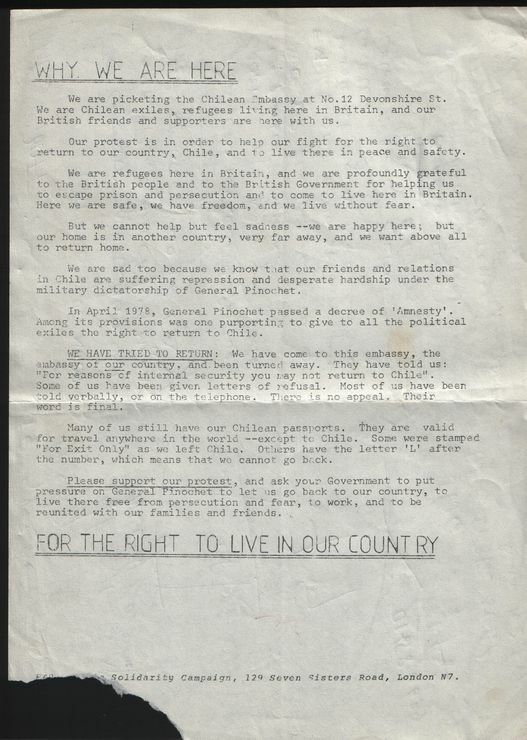 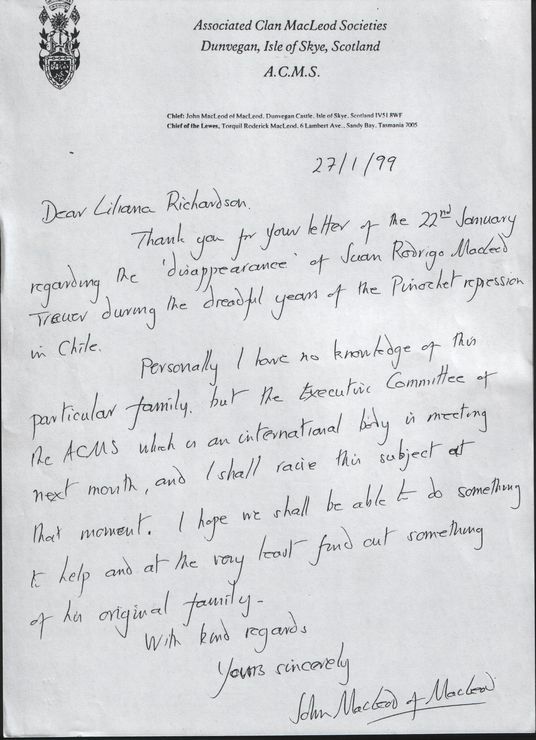 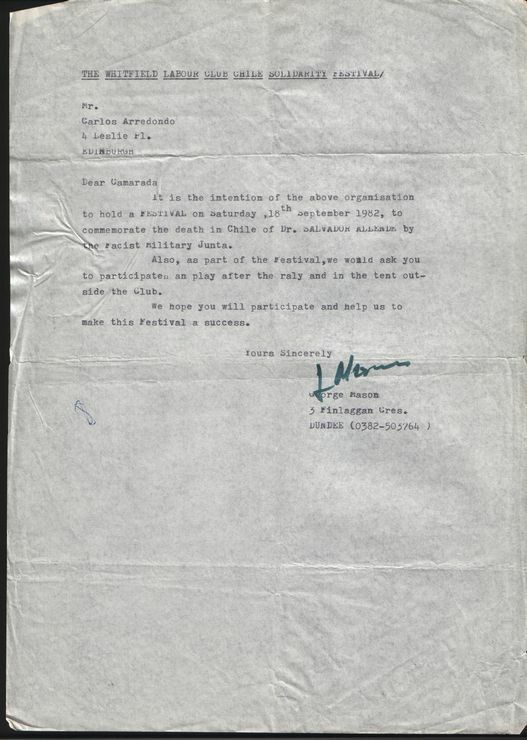 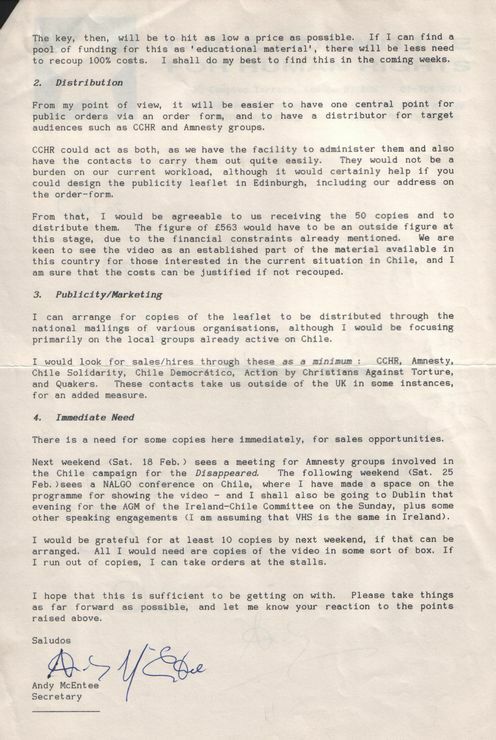 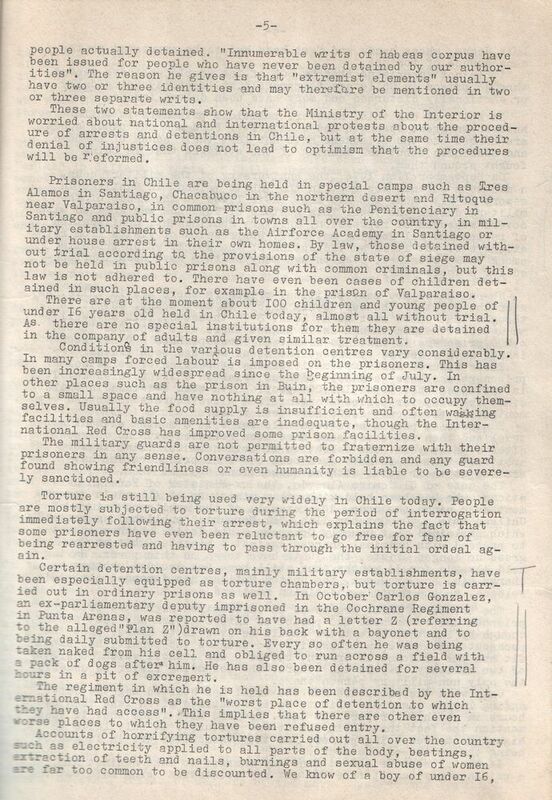 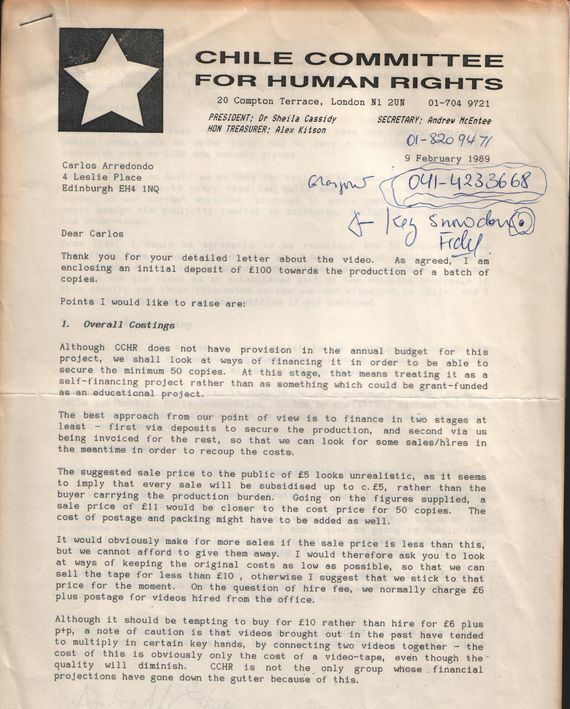 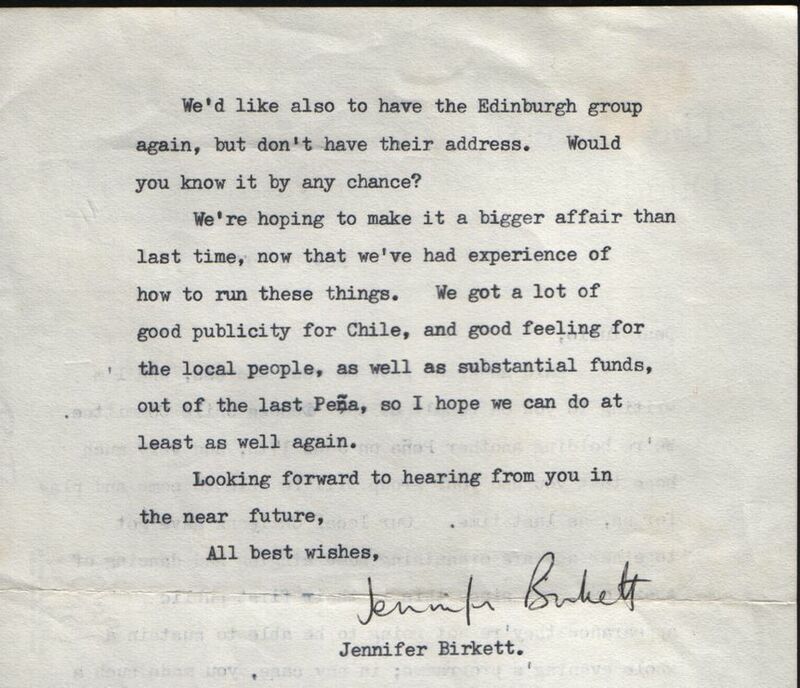 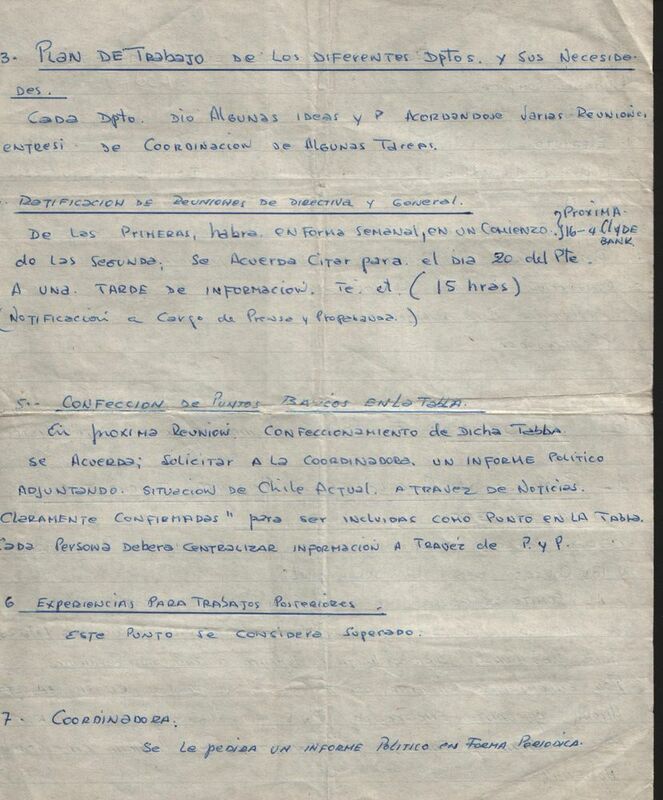 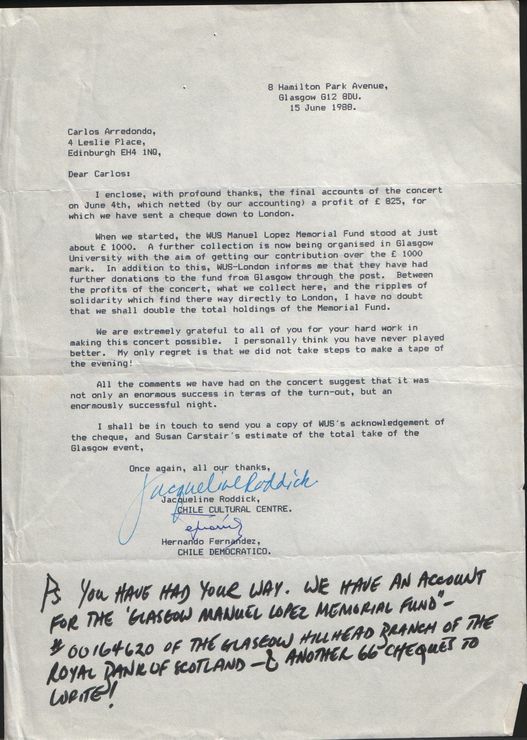 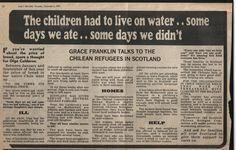 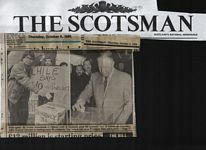 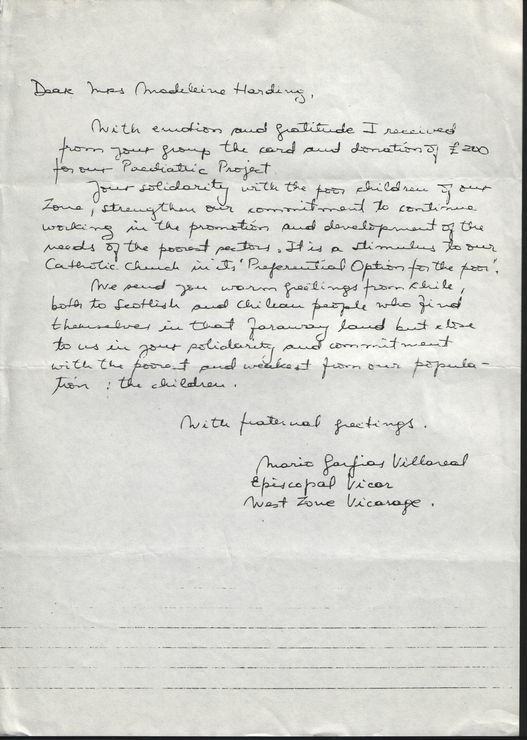 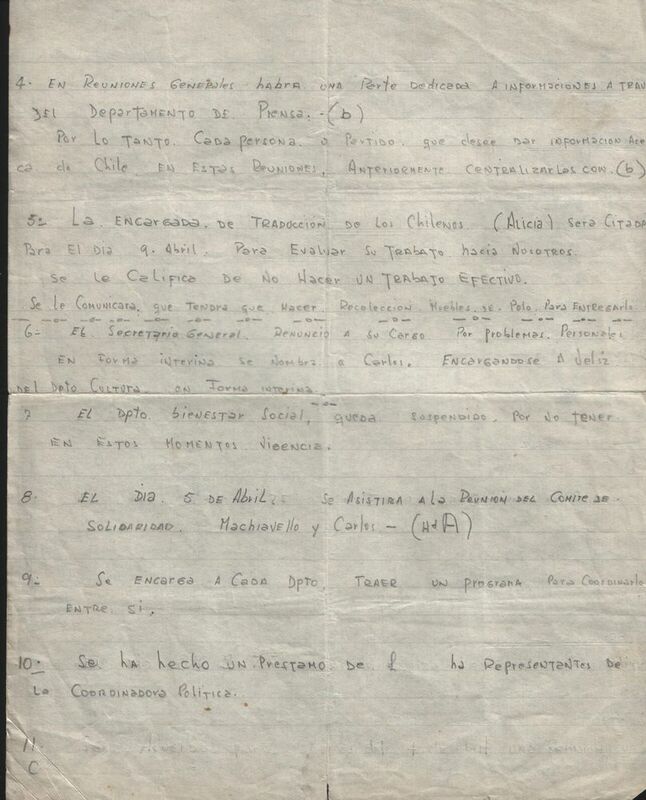 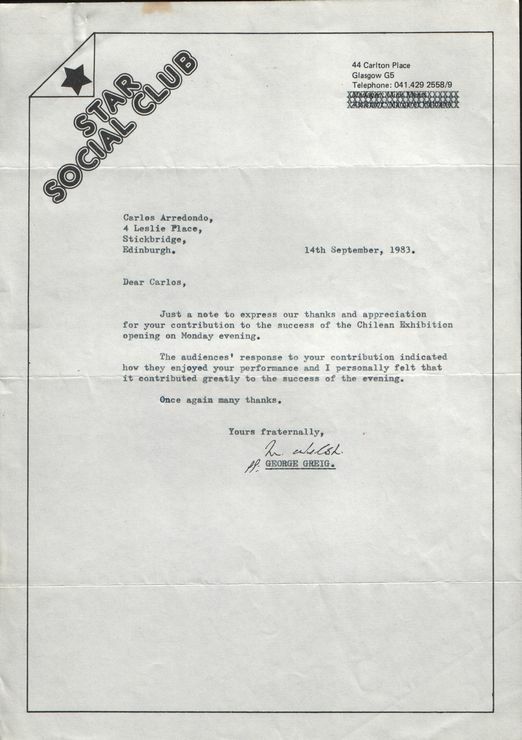 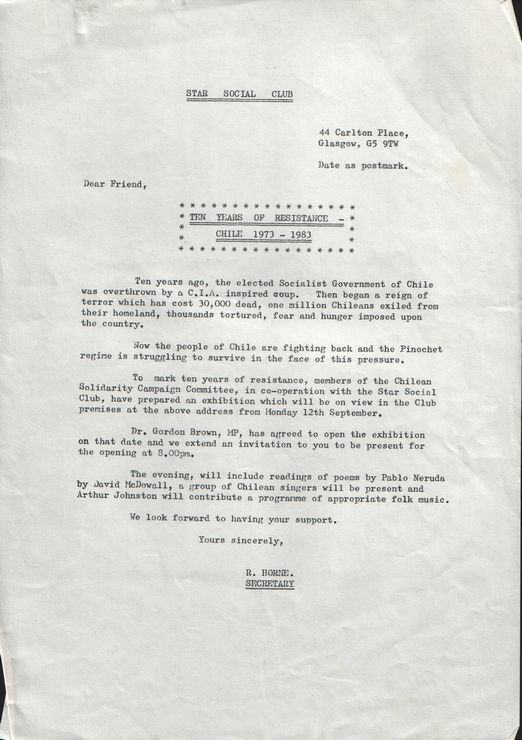 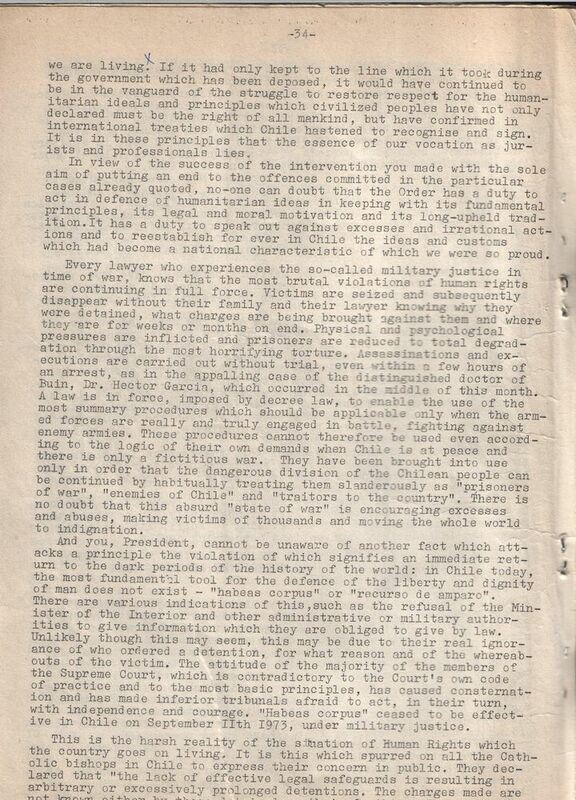 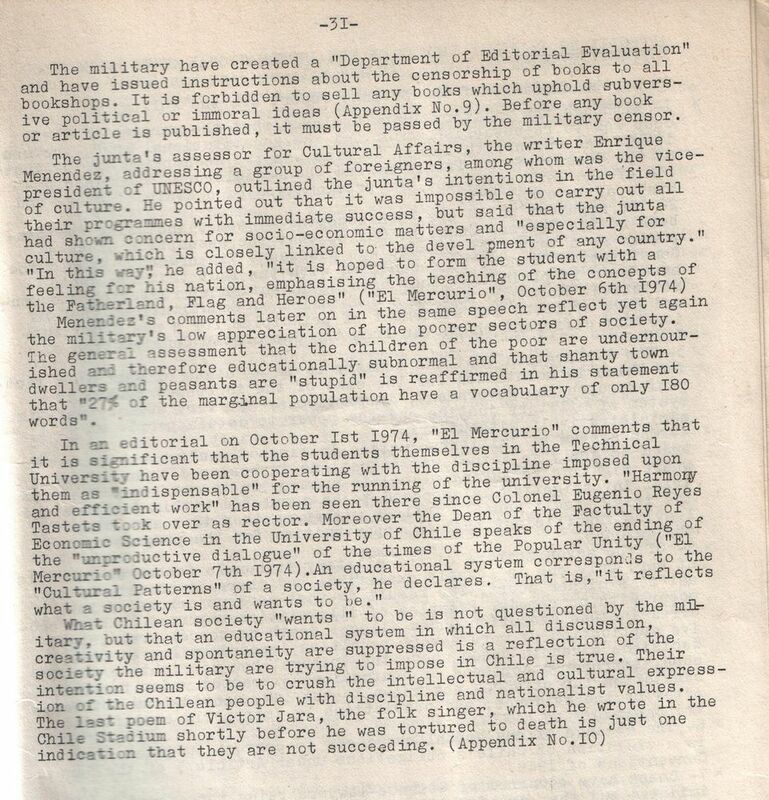 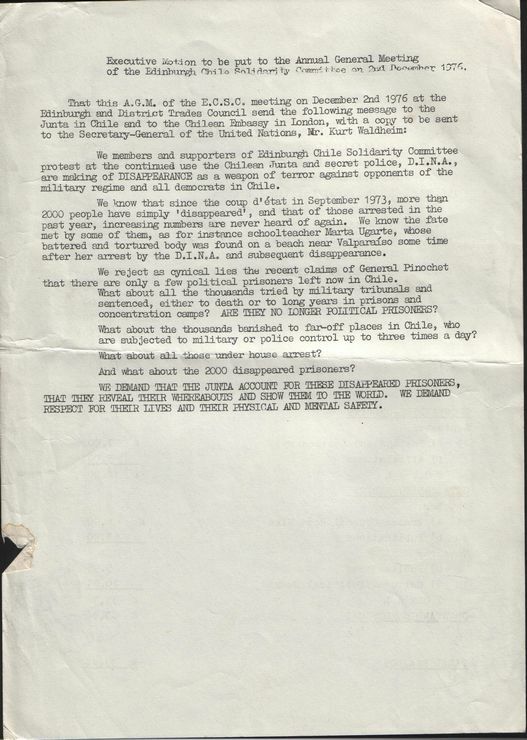 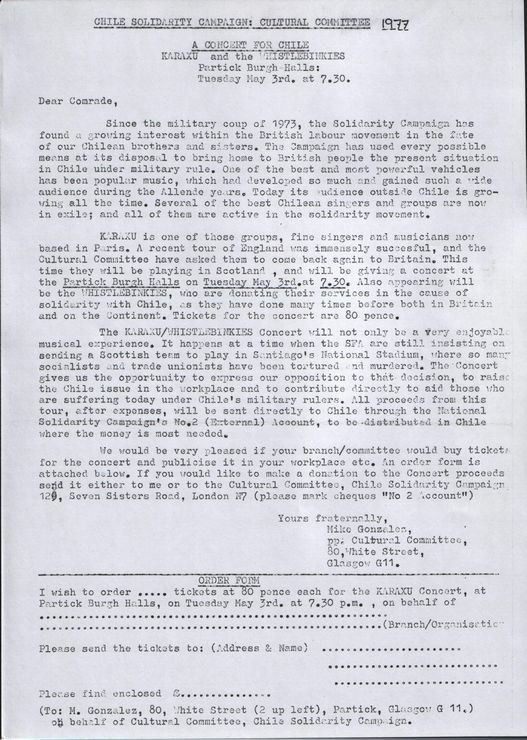 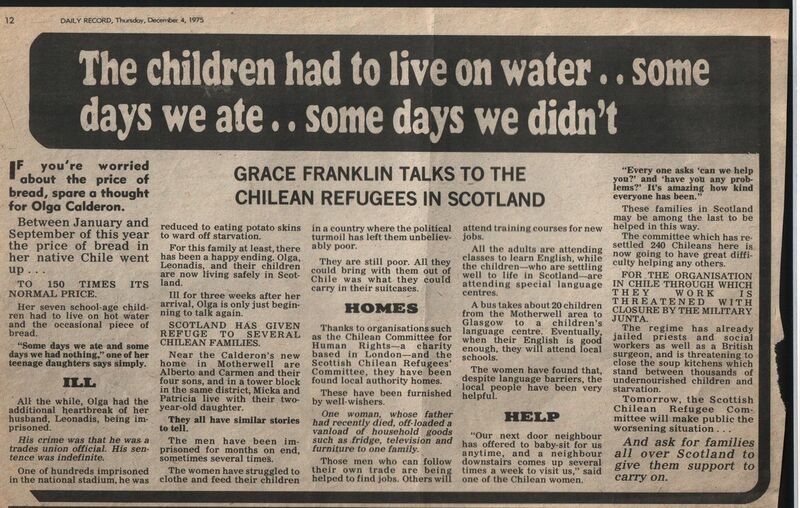 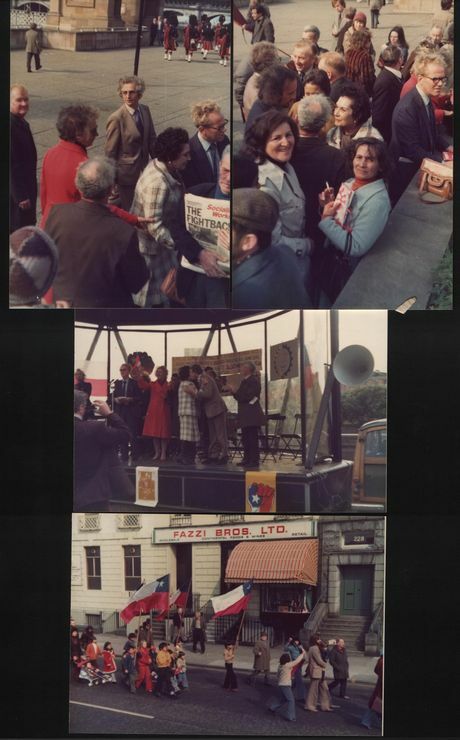 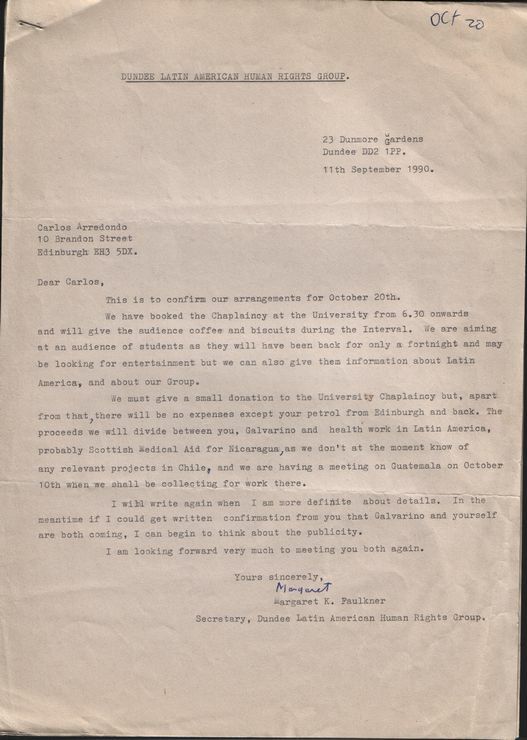 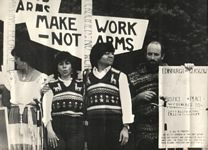 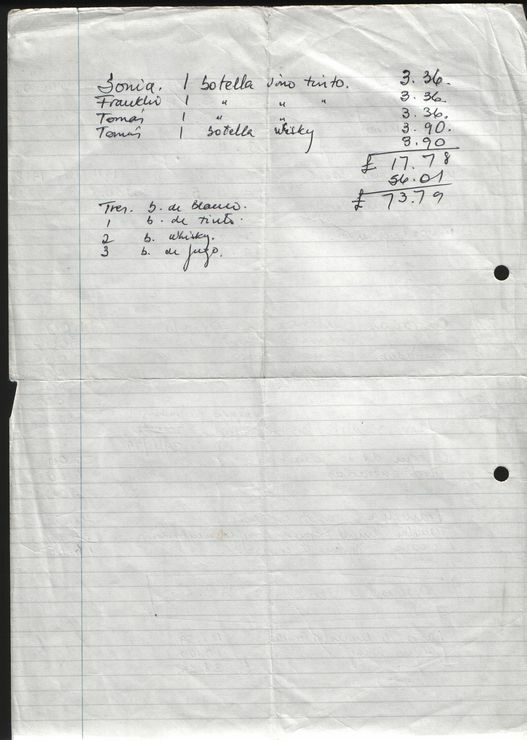 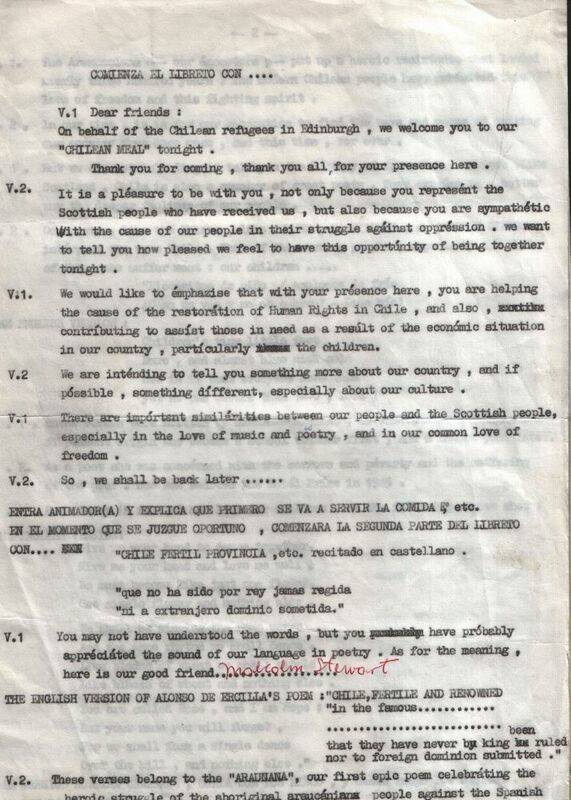 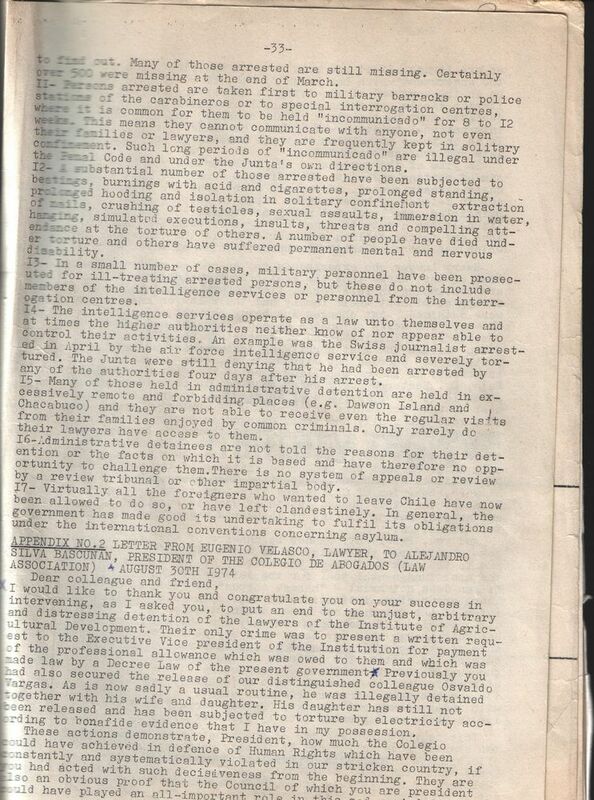 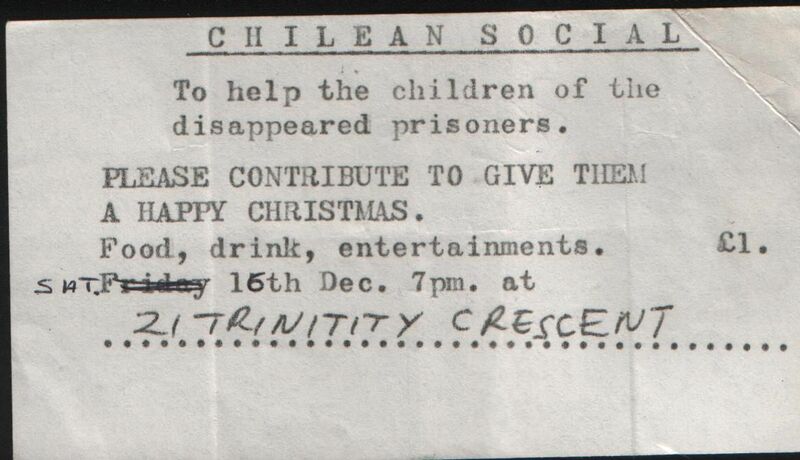 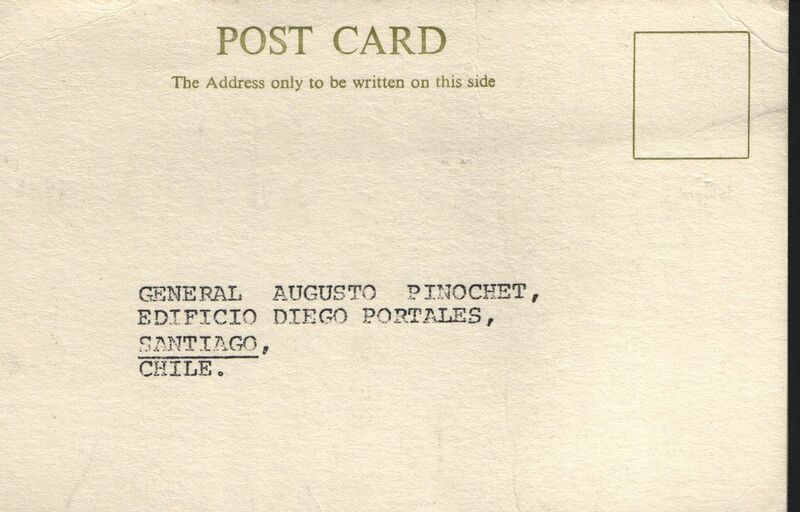 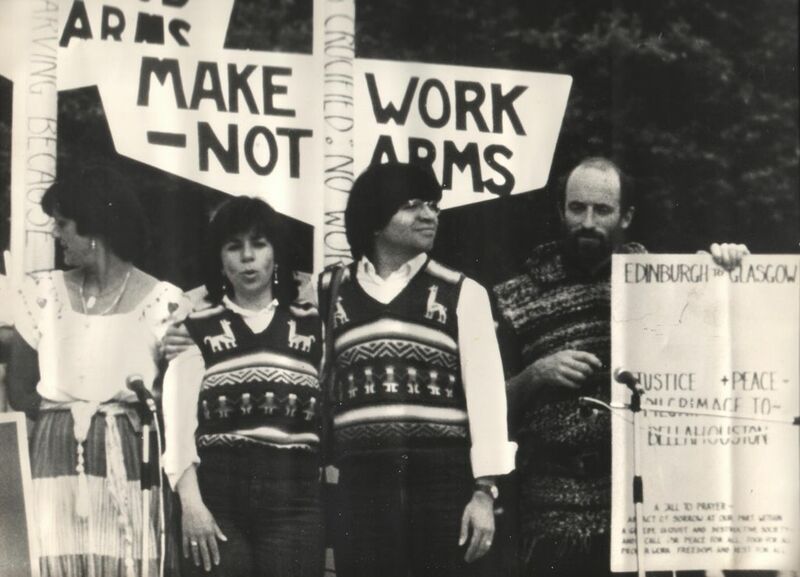 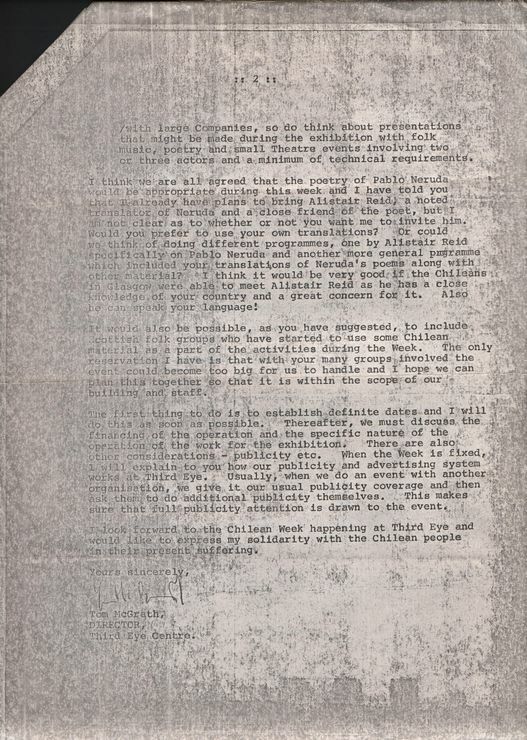 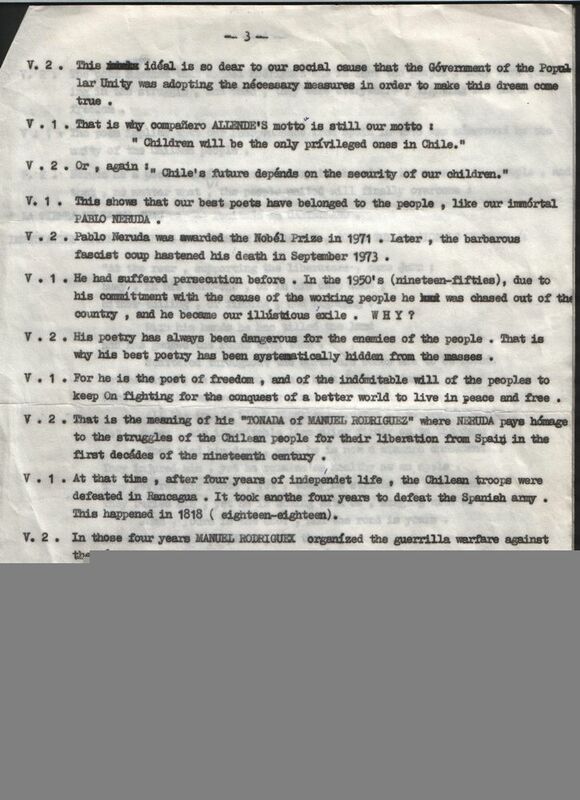 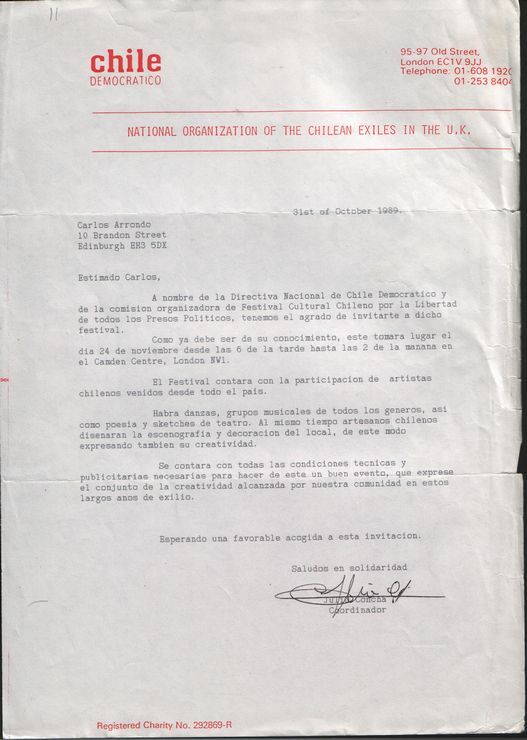 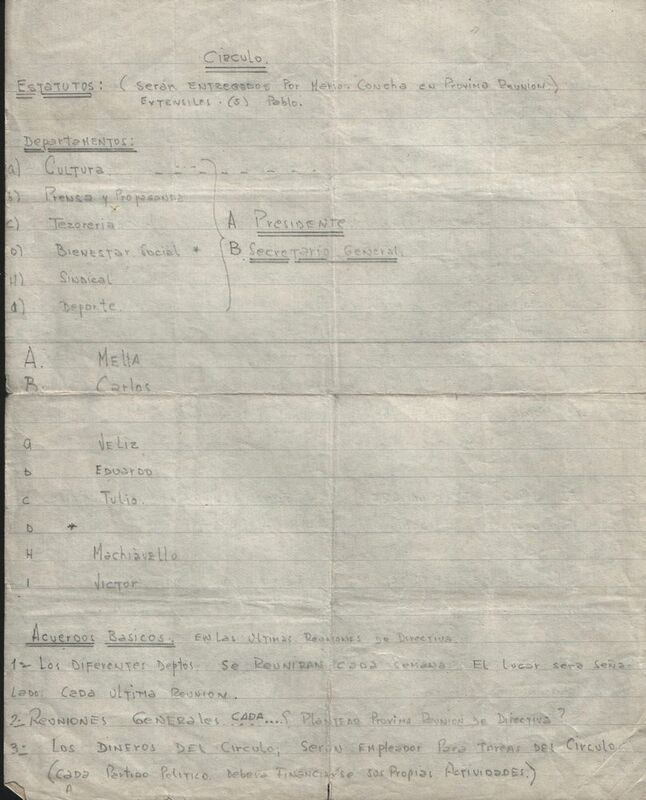 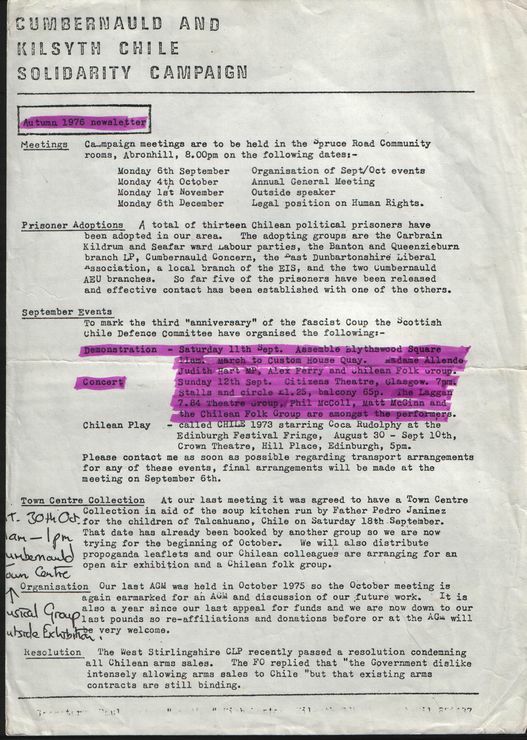 The solidarity work of many Chileans exiles in Scotland was also extremely good in their quest to help, as much as they could, the Scottish Solidarity Campaign. 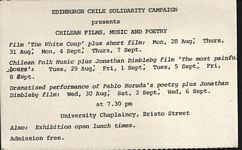 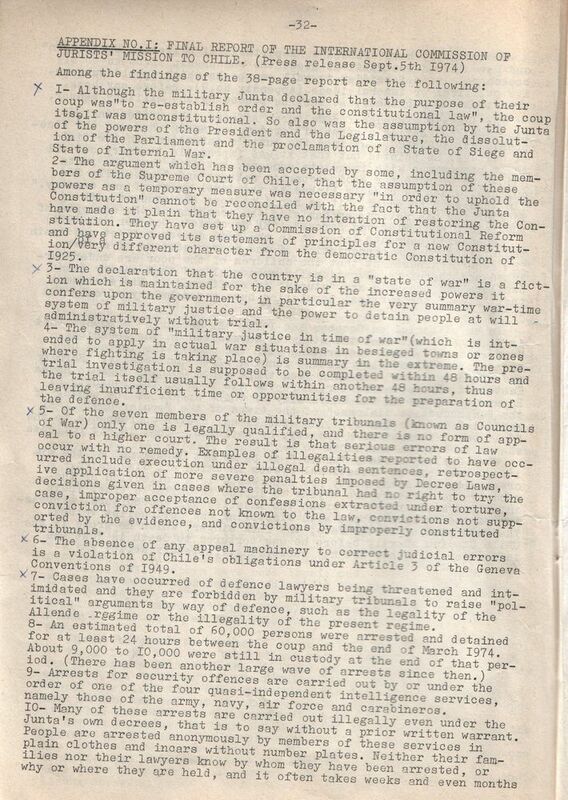 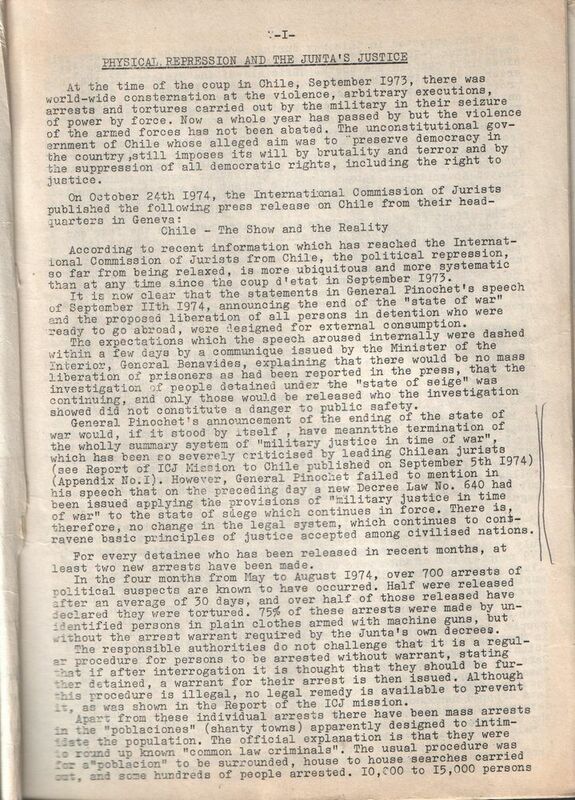 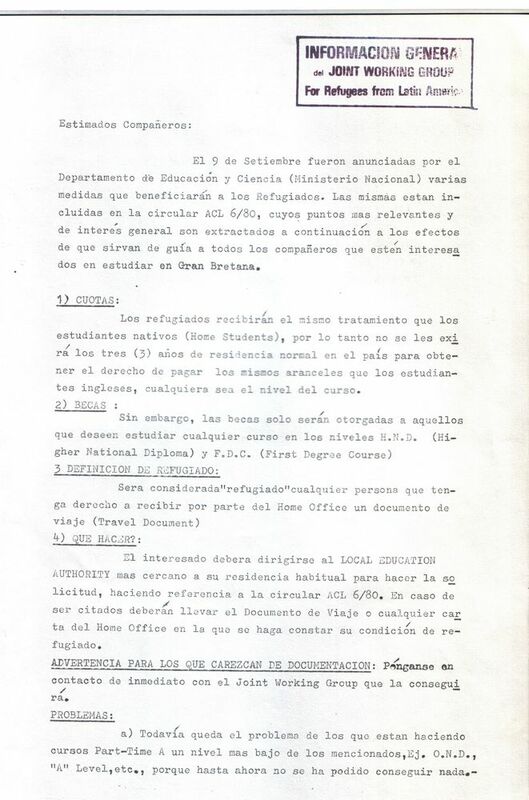 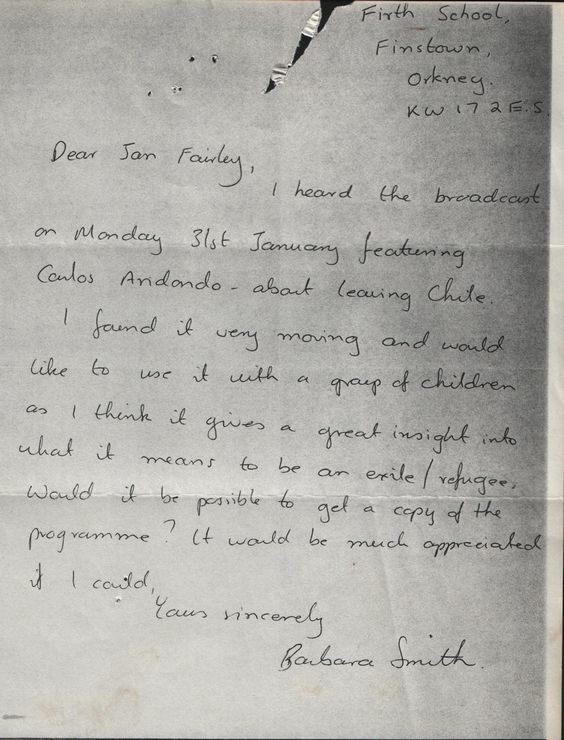 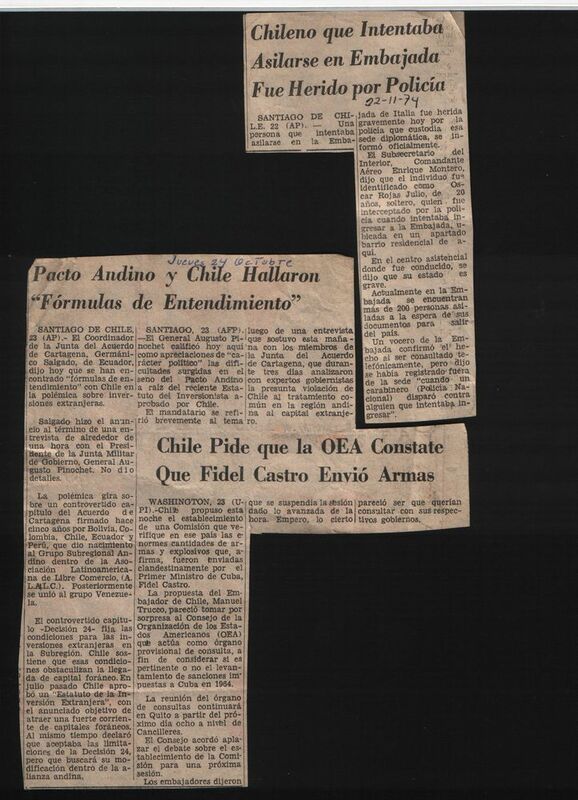 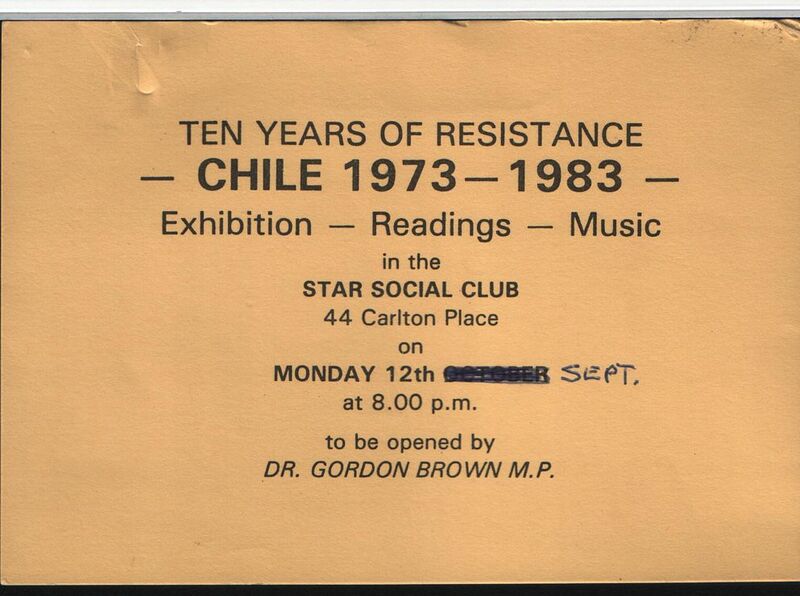 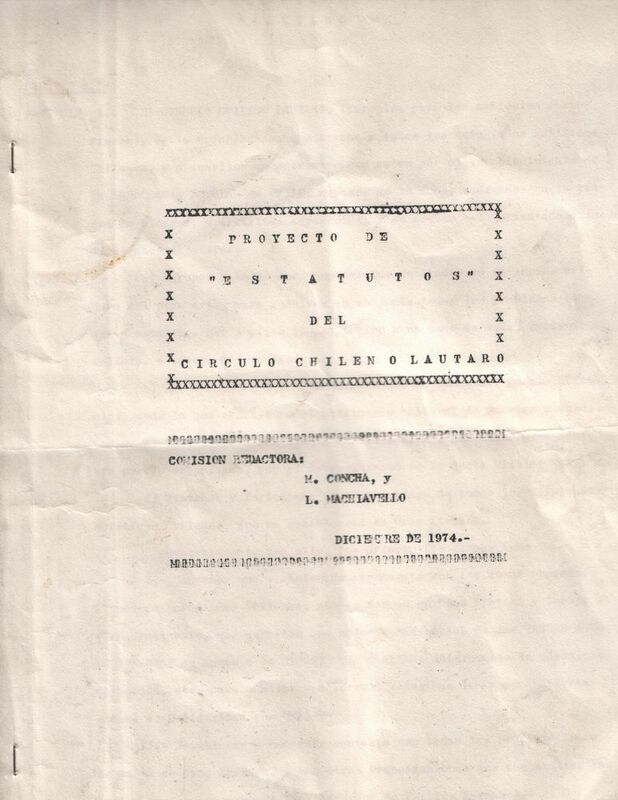 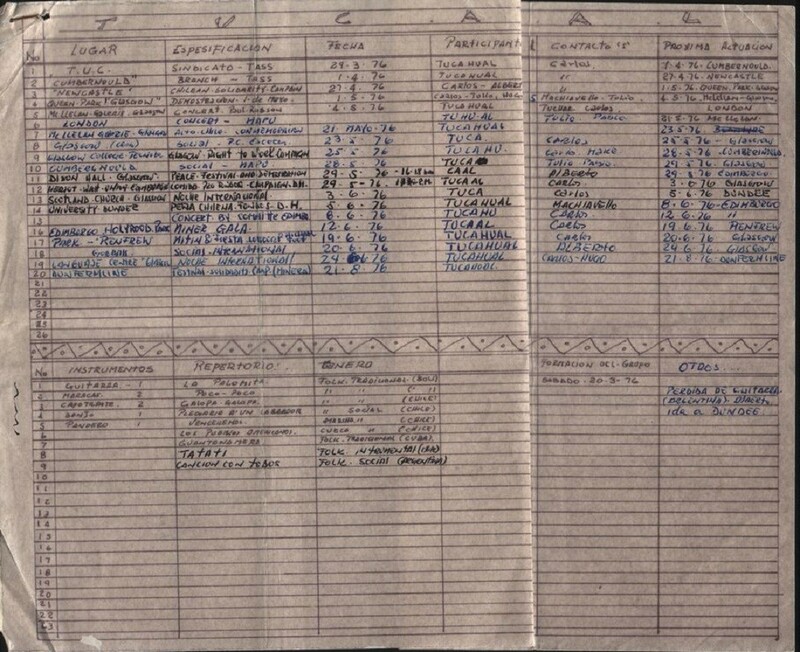 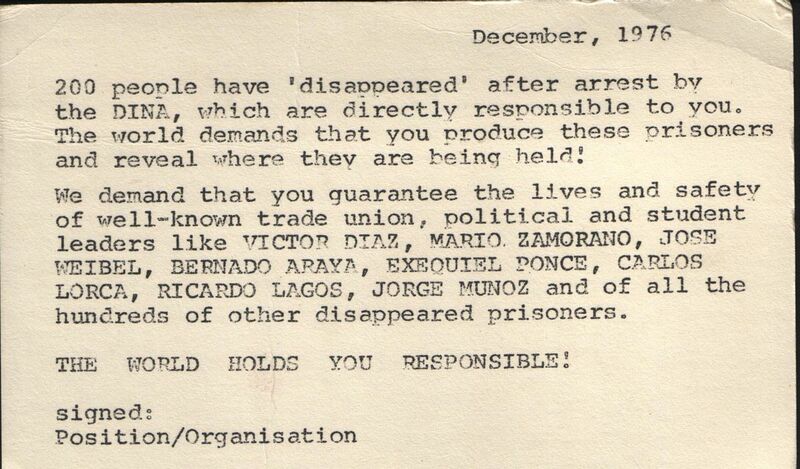 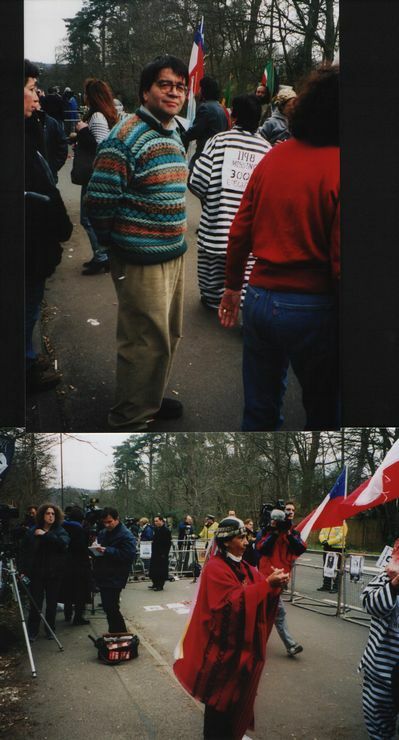 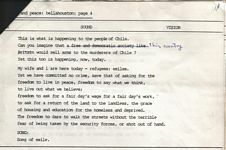 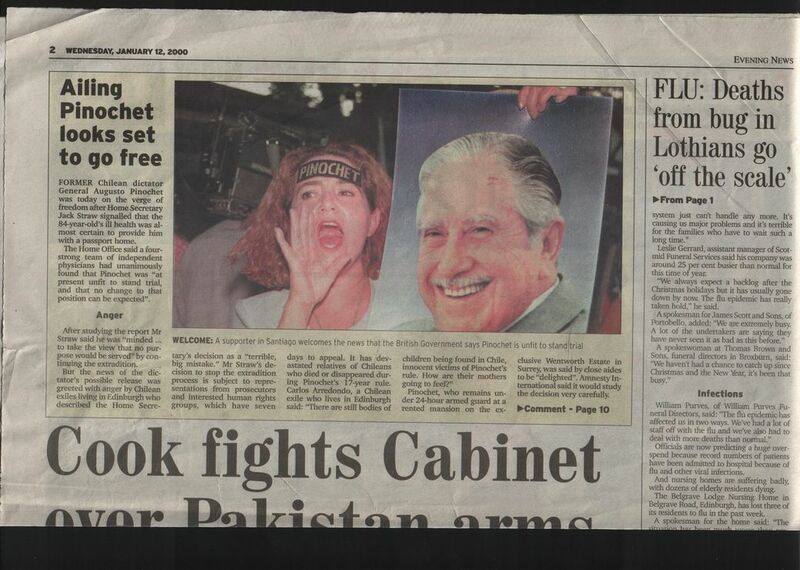 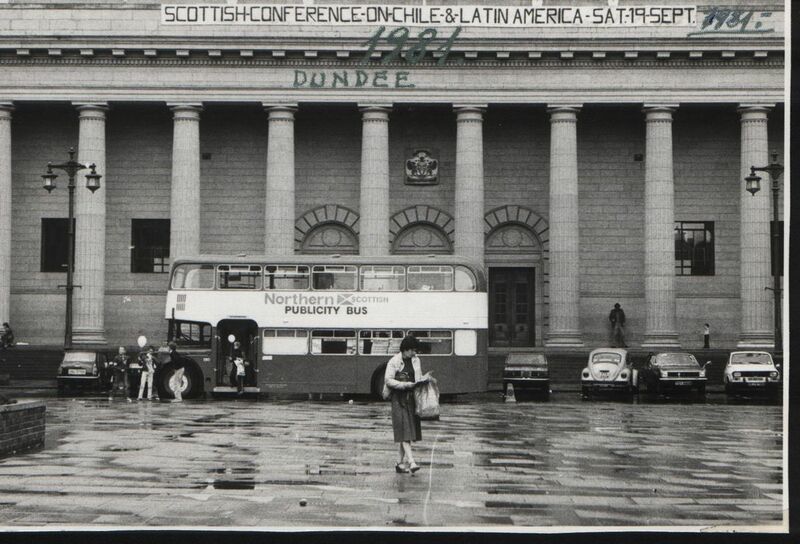 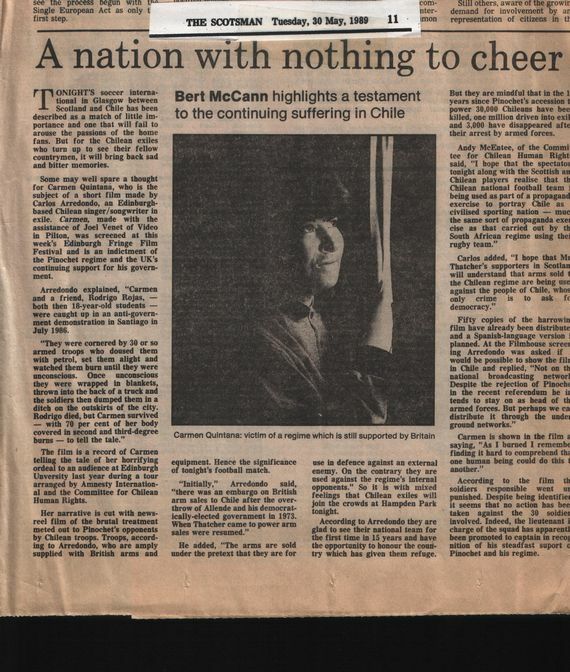 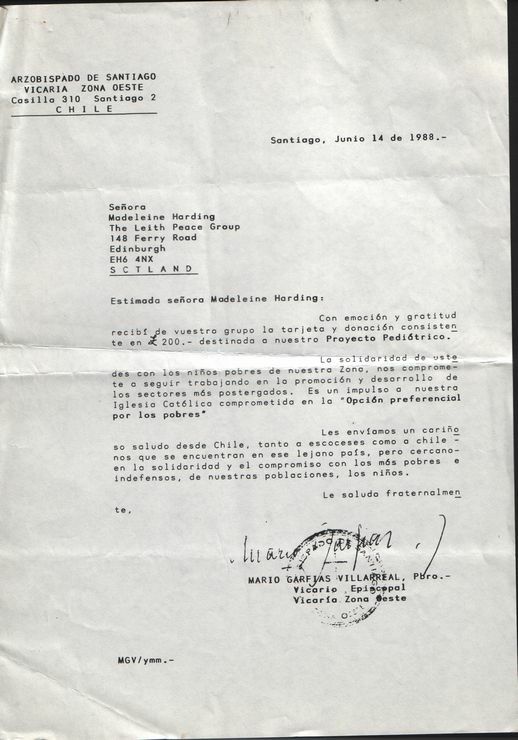 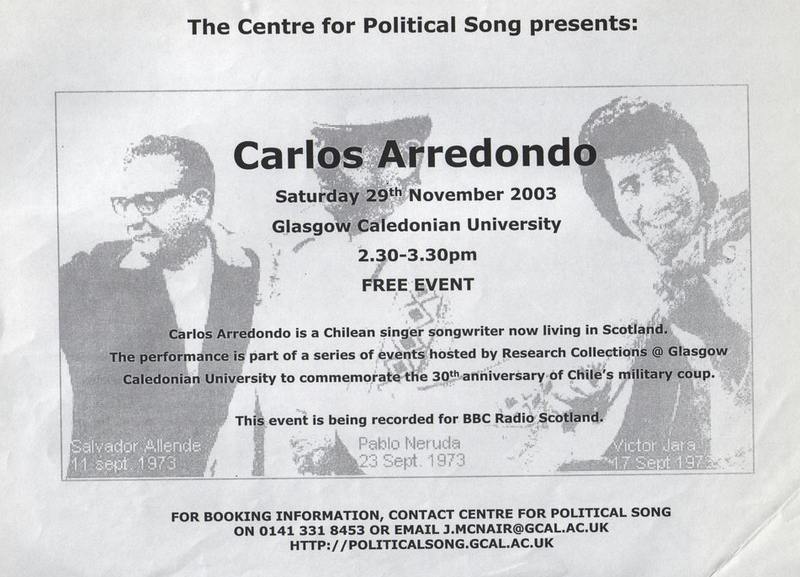 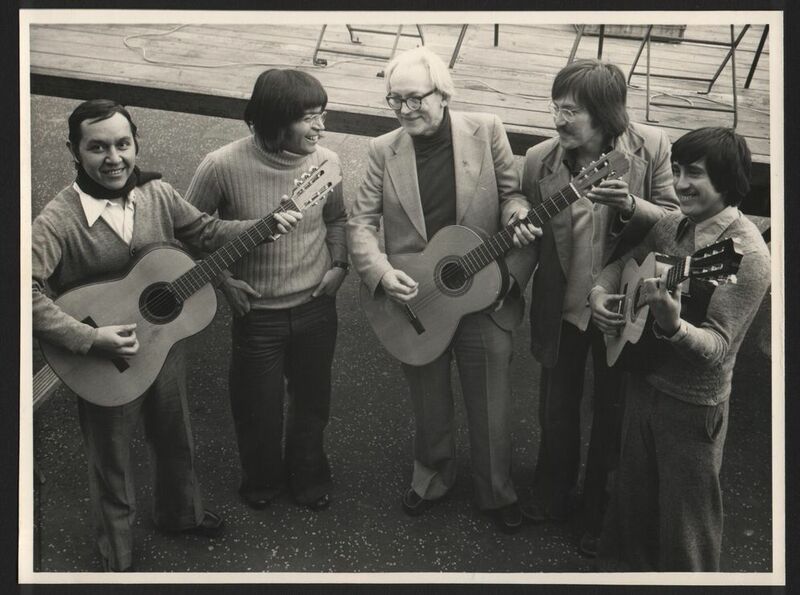 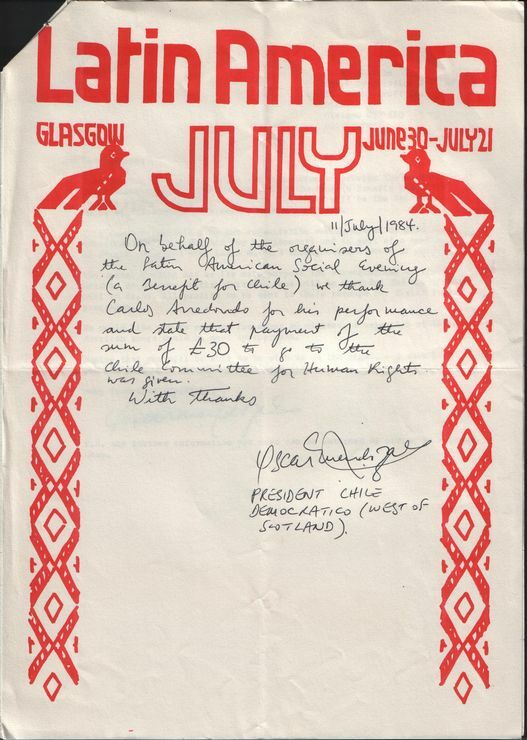 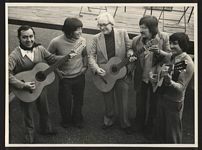 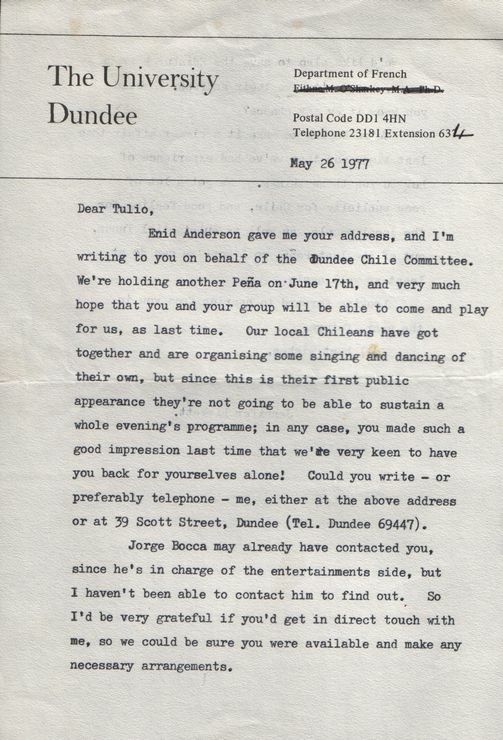 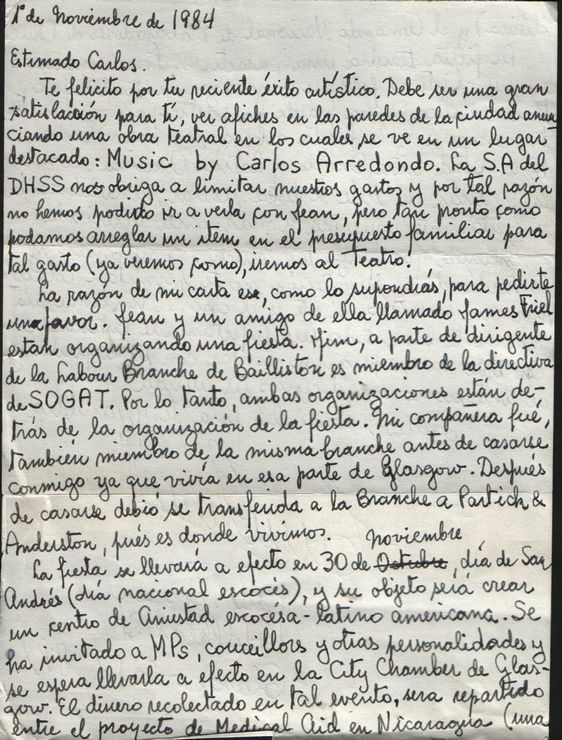 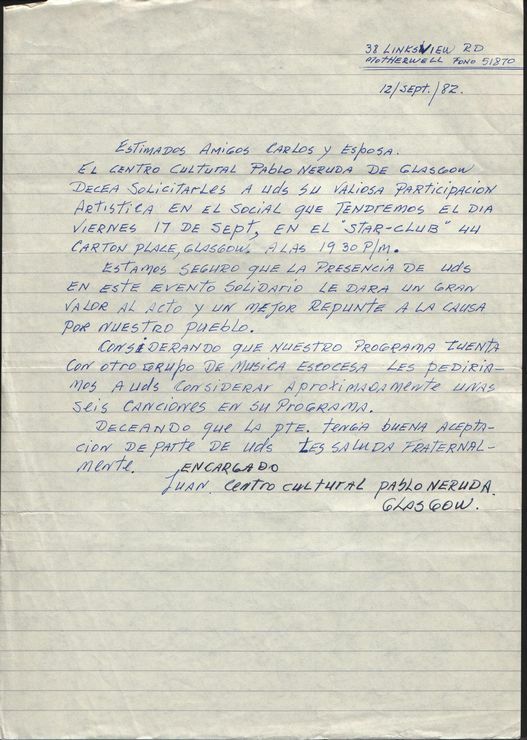 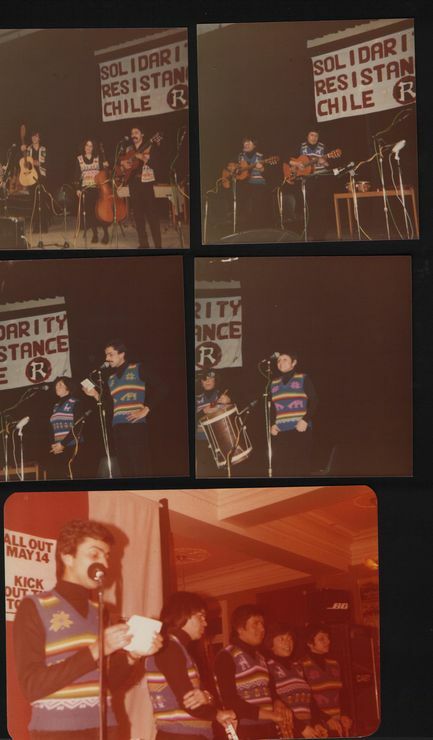 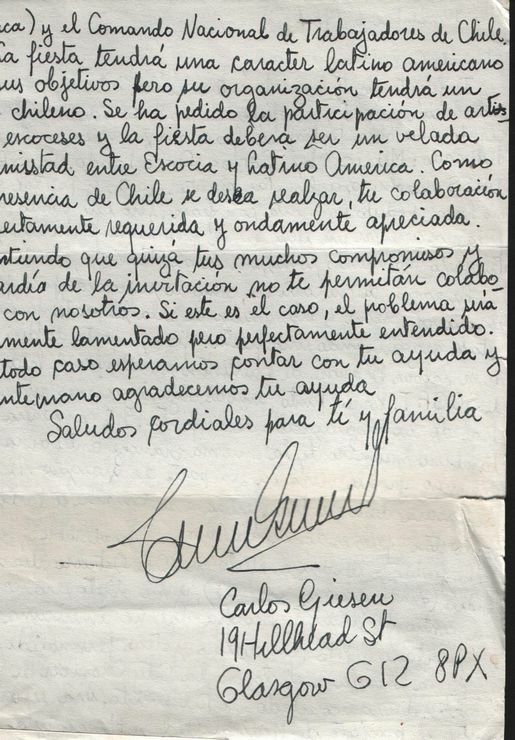 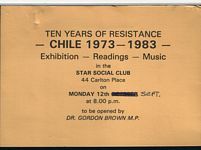 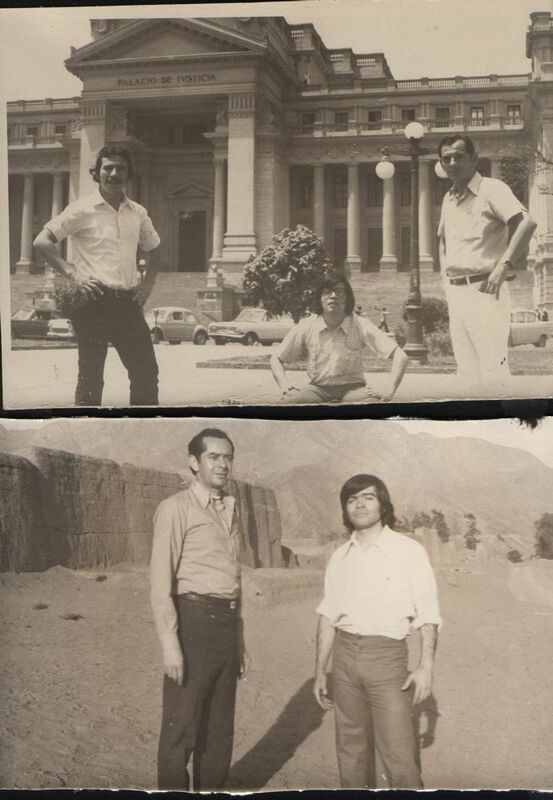 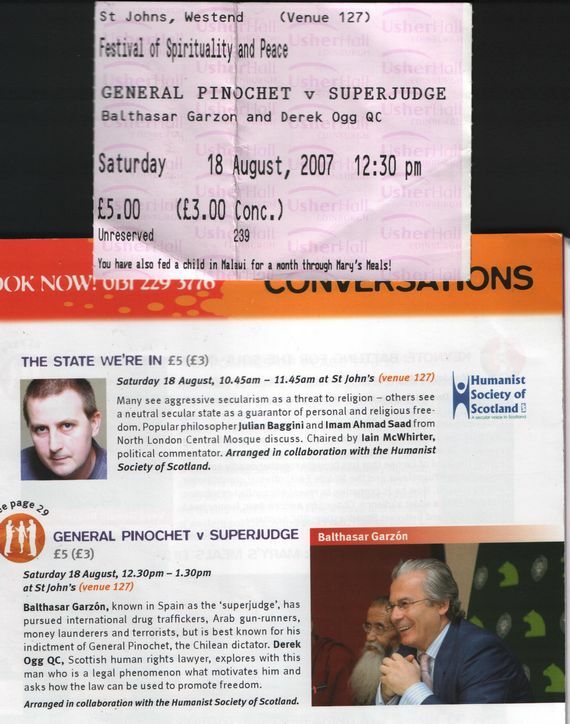 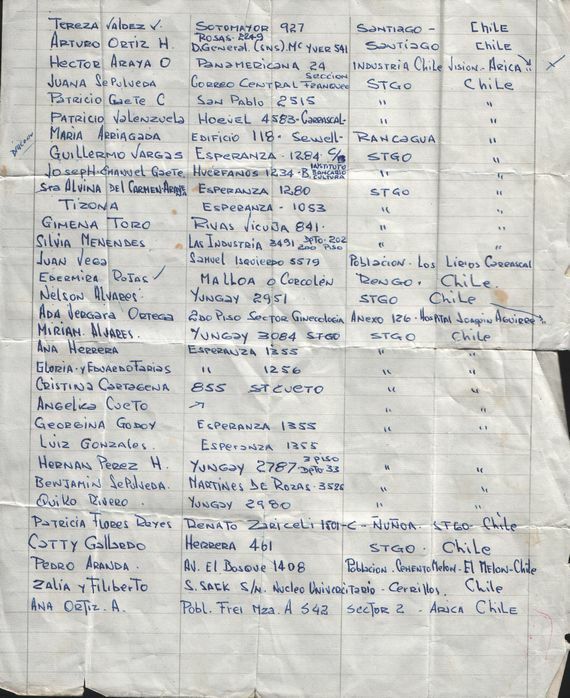 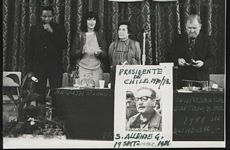 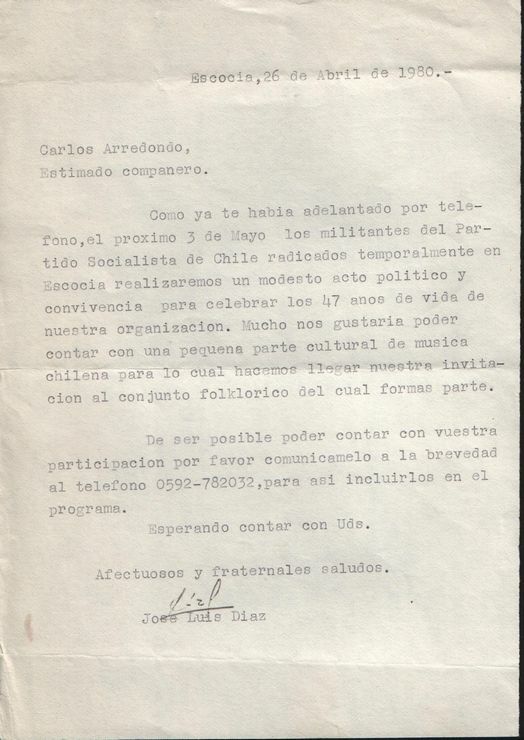 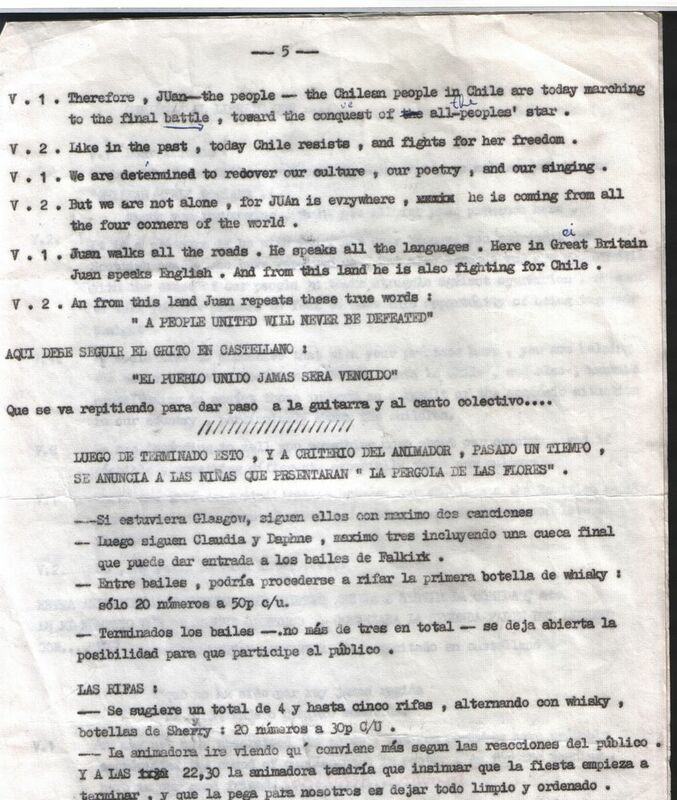 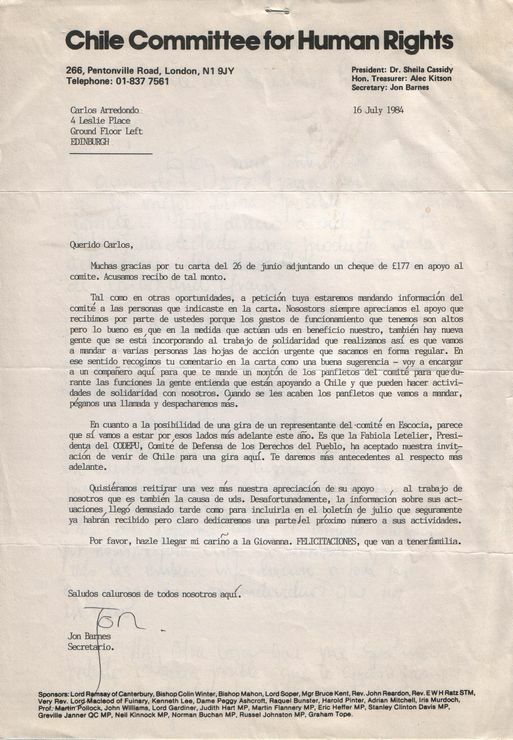 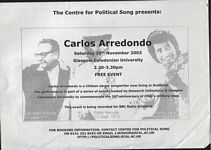 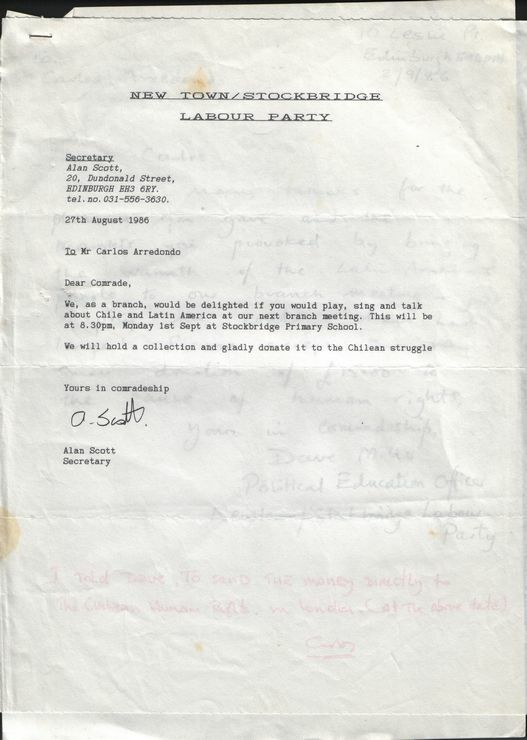 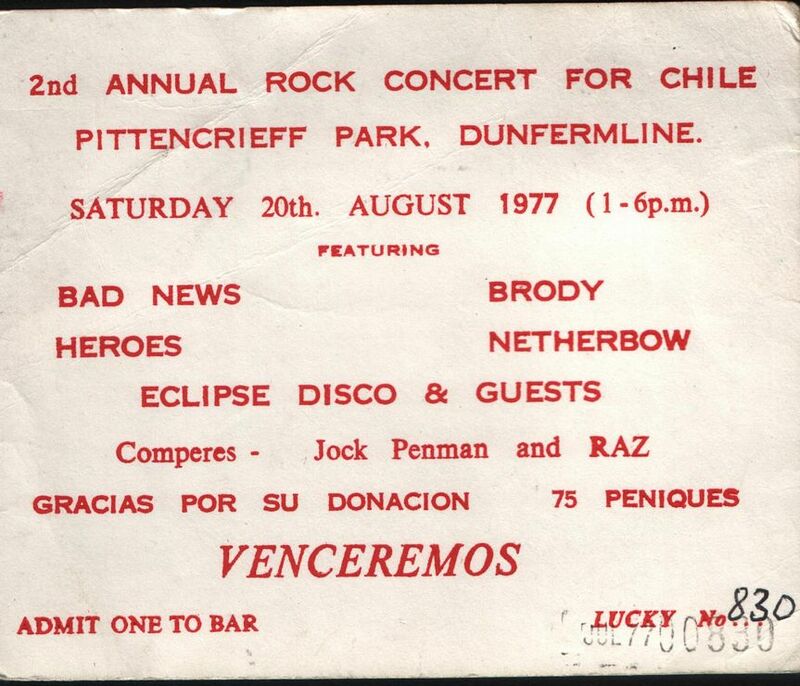 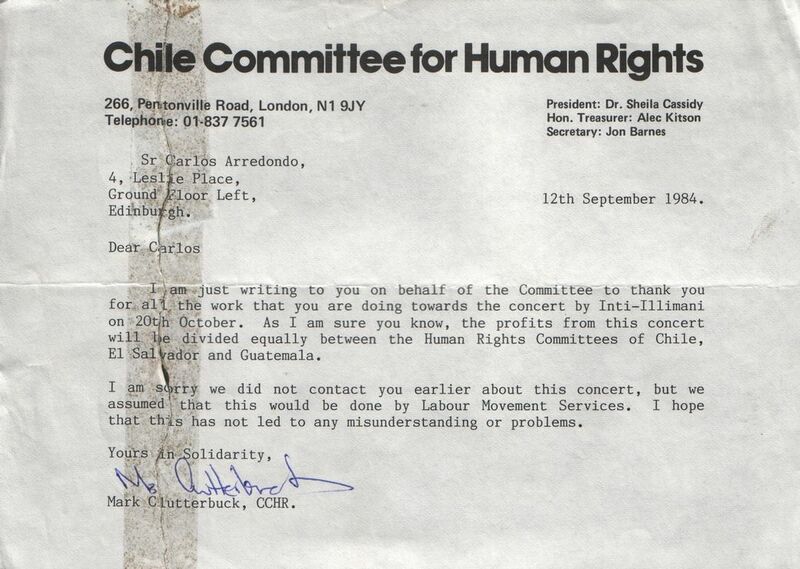 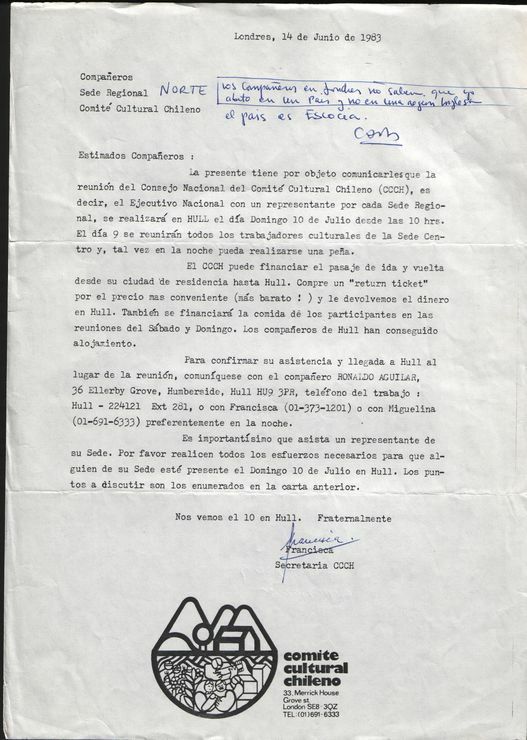 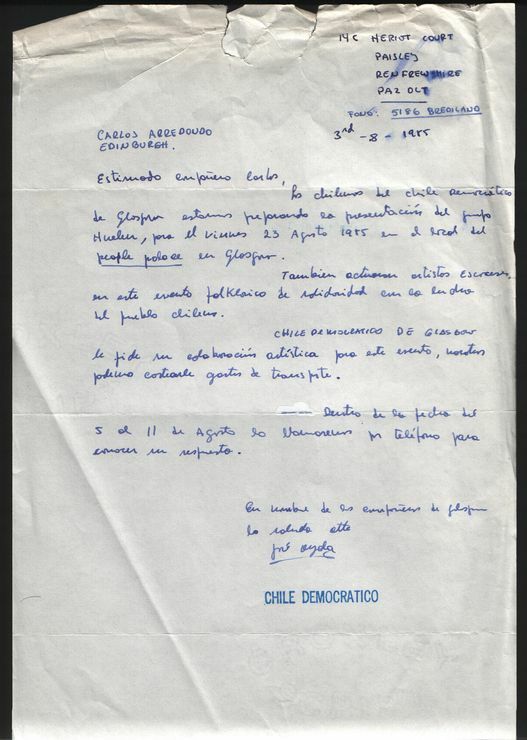 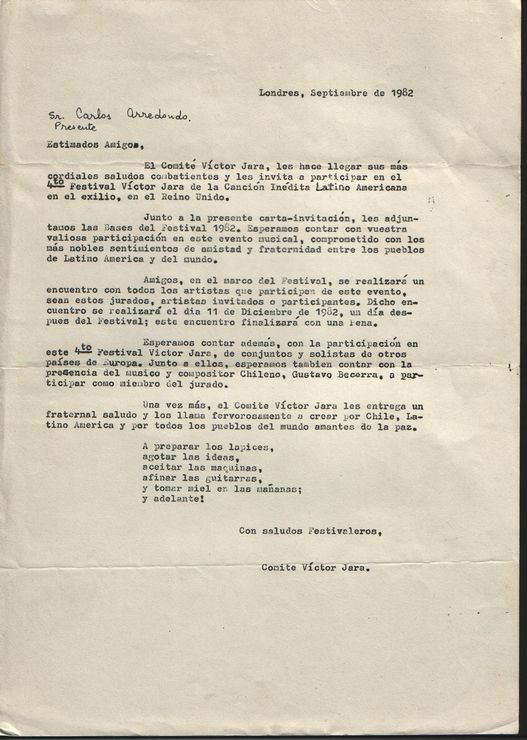 Looking at all my records of past performance, I realised that in Scotland the solidarity work with Chile and Latin America was always strong and the participants in this solidarity work were people from every walk of life. 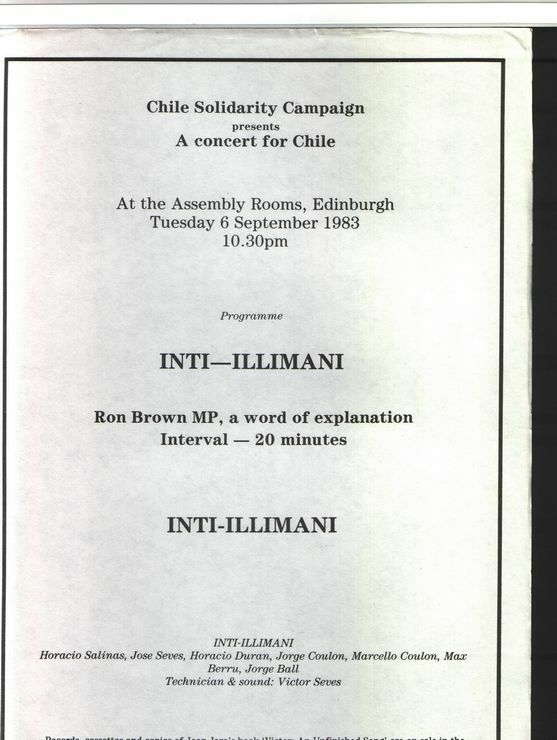 I have compiled here a very interesting and comprehensive sample about solidarity activities with Chile in Scotland. 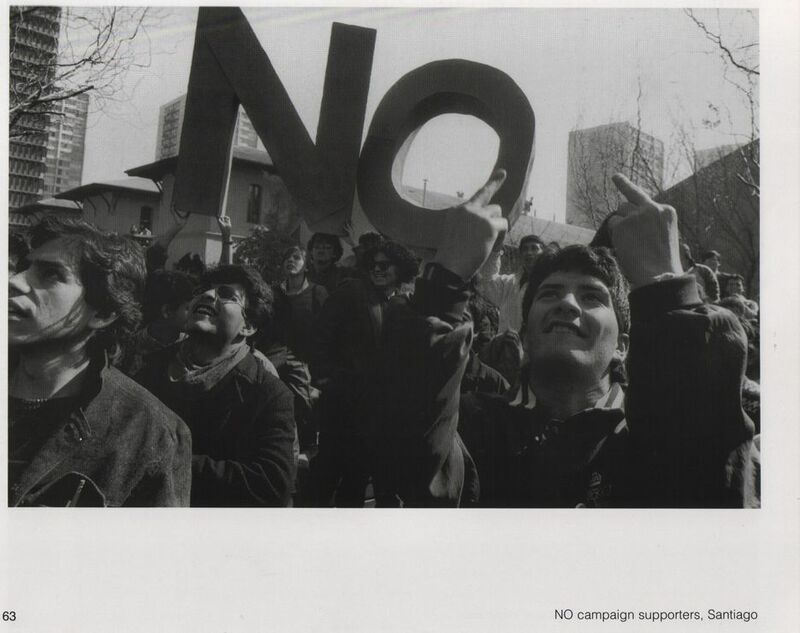 Several people appearing in this sample are unfortunately not longer with us and I dedicate to them, and with all my heart, this Solidarity Gallery. 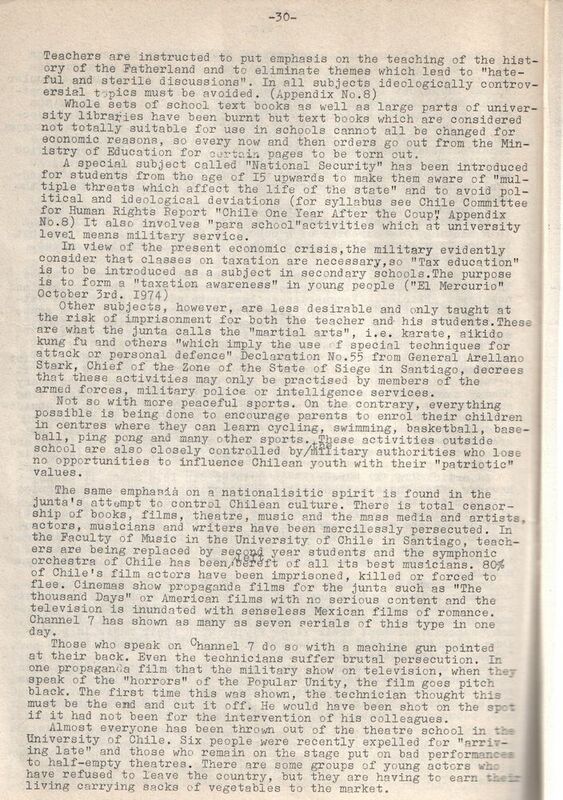 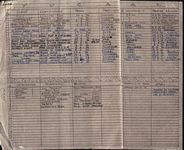 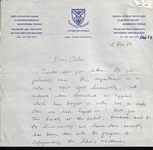 Click here to view a unique sample of correspondence of members of the UK parliament working very hard on behalf of our People. 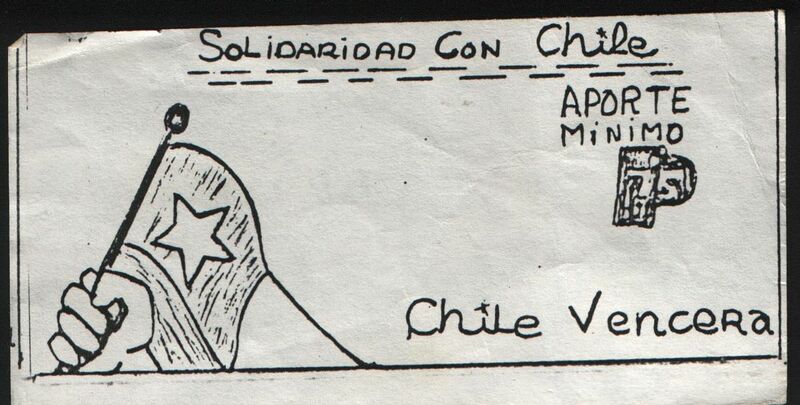 Many thanks them all!! 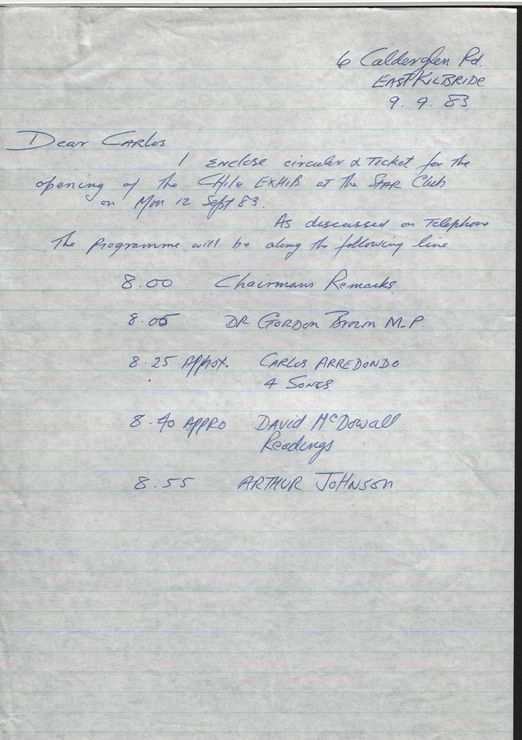 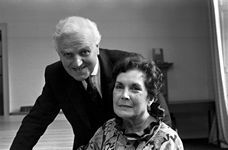 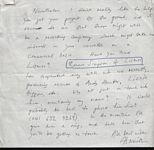 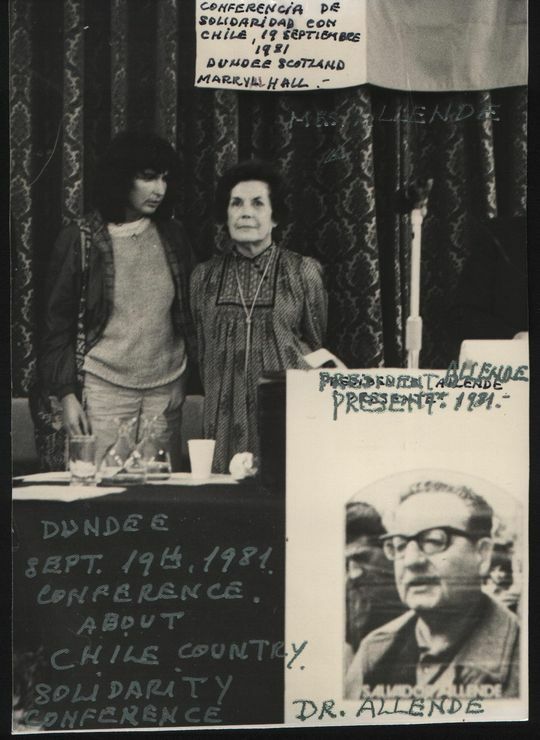 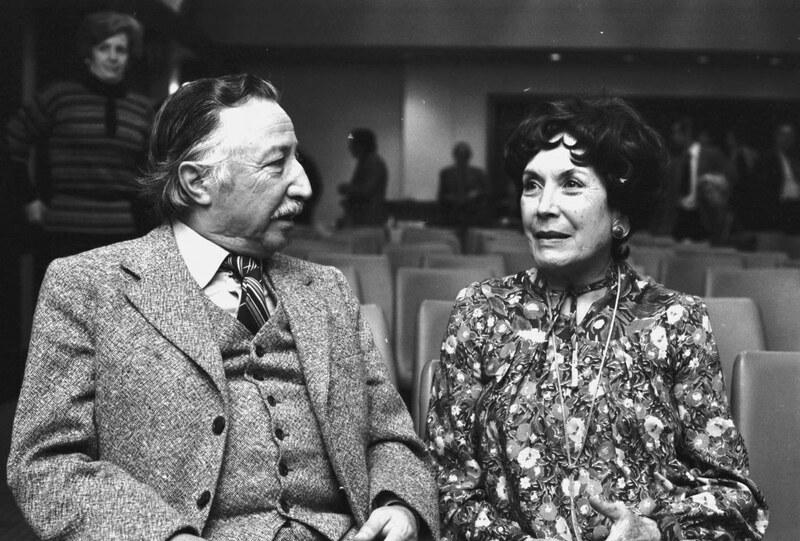 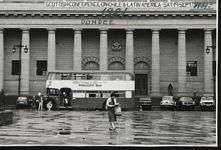 20- 09-1979 Hortensia Allende with John Crichton on her visit to Lothian Region headquarters in Edinburgh in September 1979 - Many thanks to the Scotsman Publications Ltd.
17th Sept 1974, my airline ticket, Lima to London. 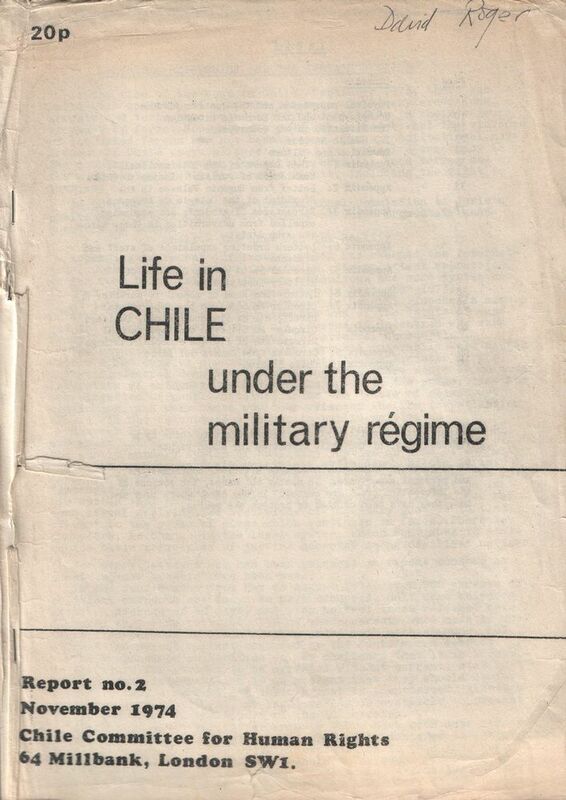 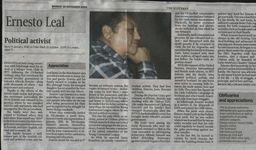 I become a Chilean Refugee. 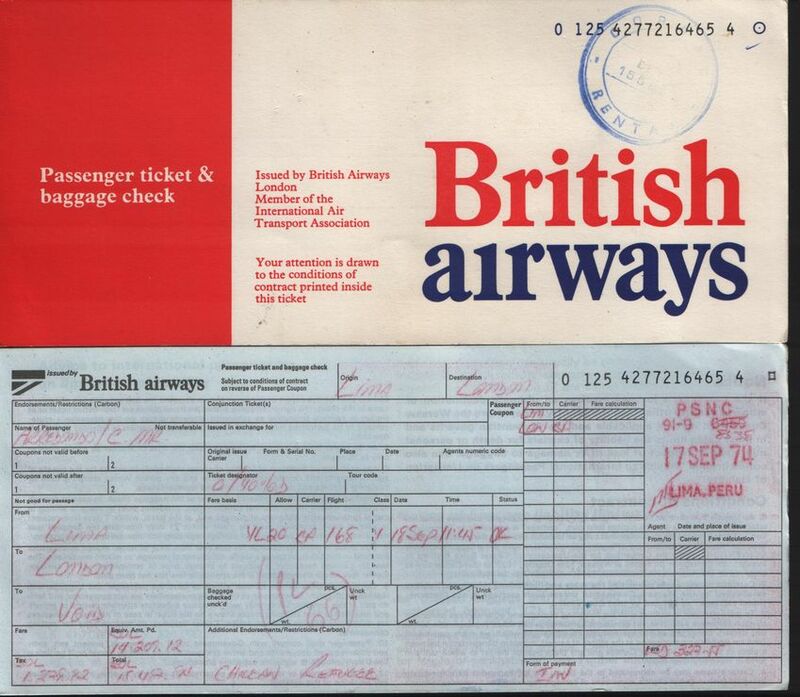 Ticket fare met by the UNHCR, the UN Refugee Agency. 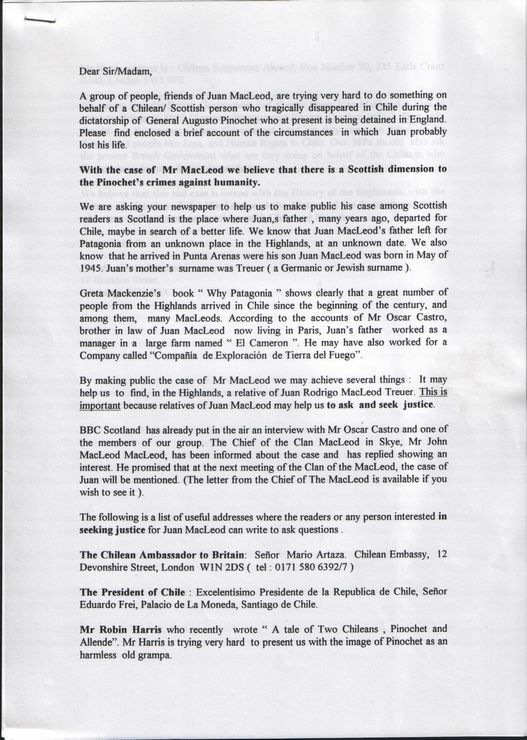 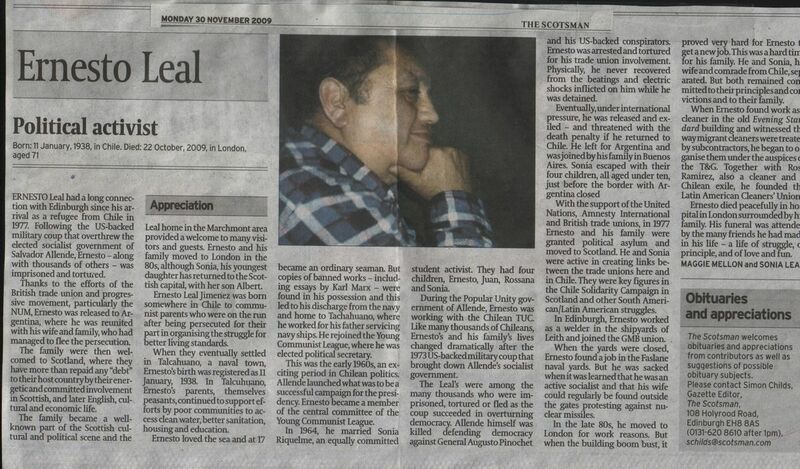 who died in 2005 in Dundee"
70s A Peña in Dundee. 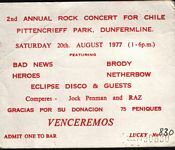 I played here. 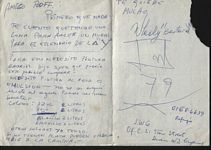 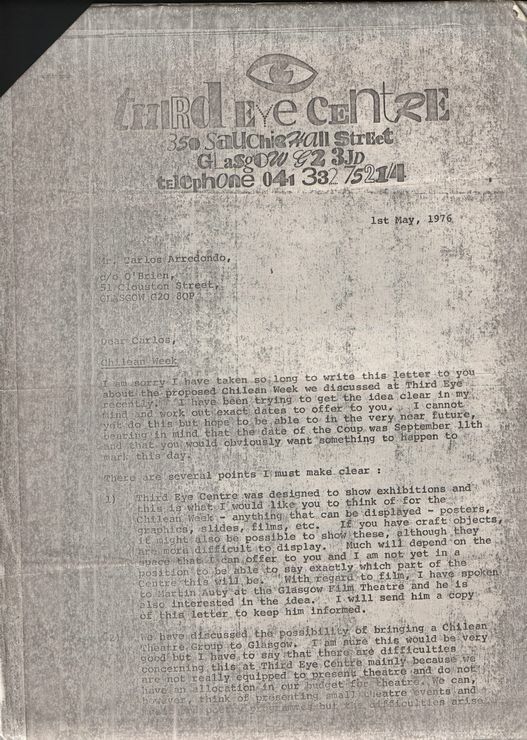 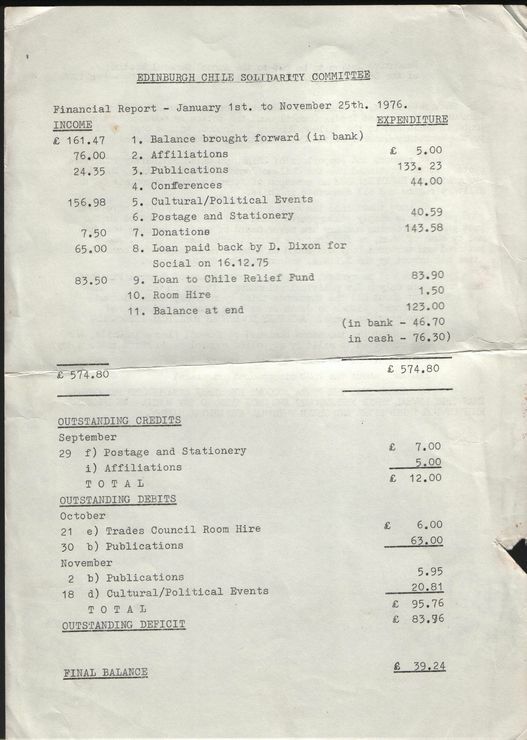 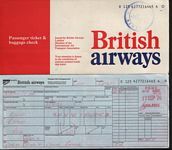 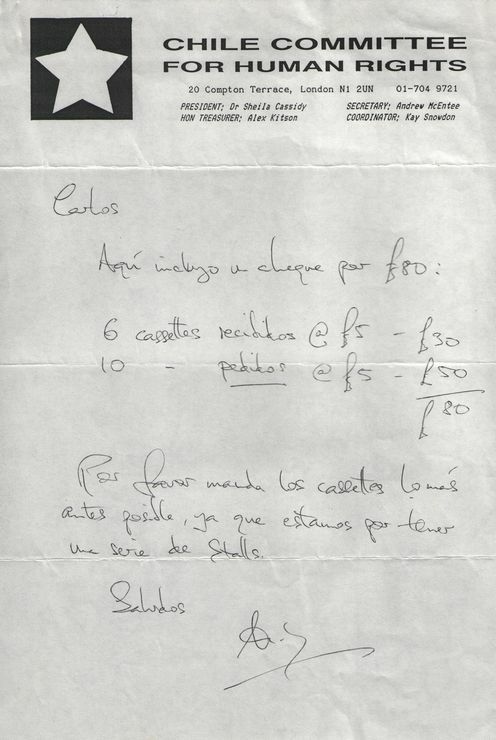 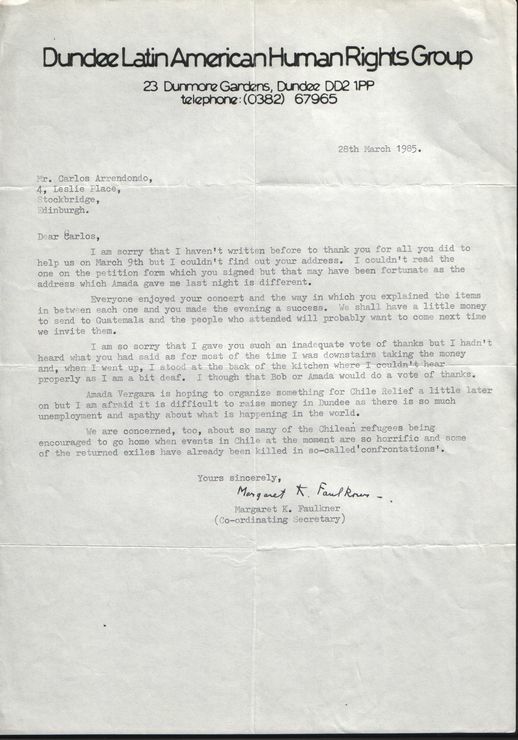 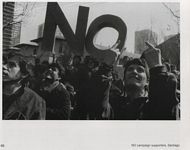 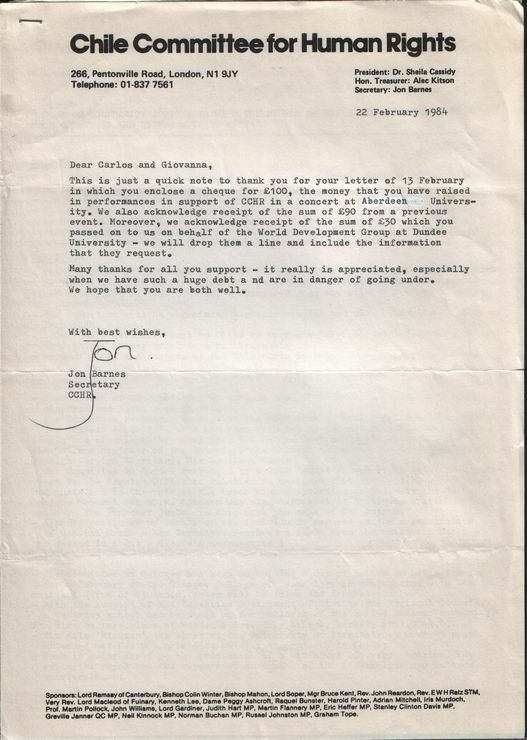 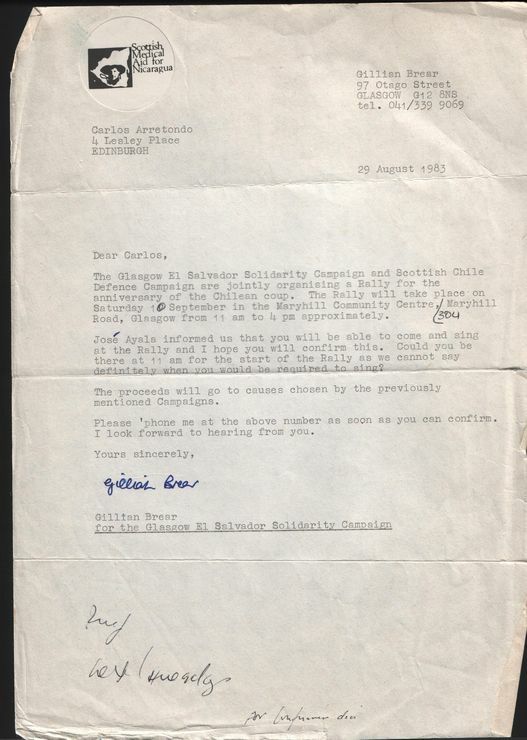 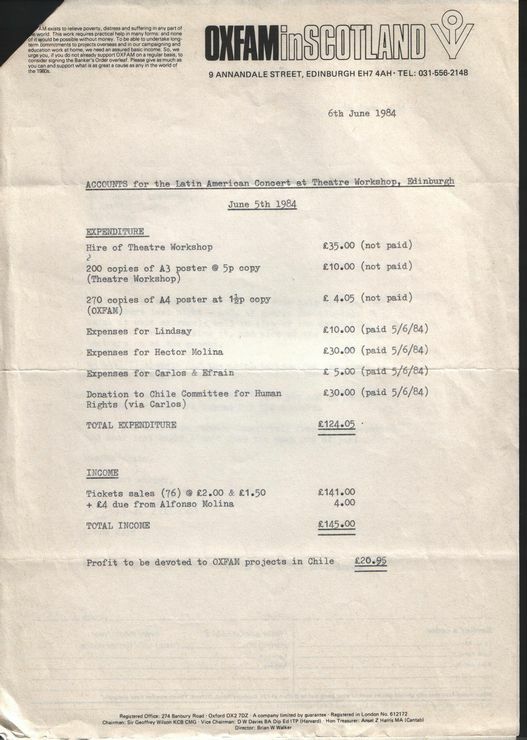 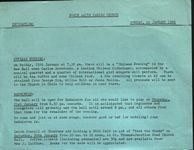 1976, bills to be paid. 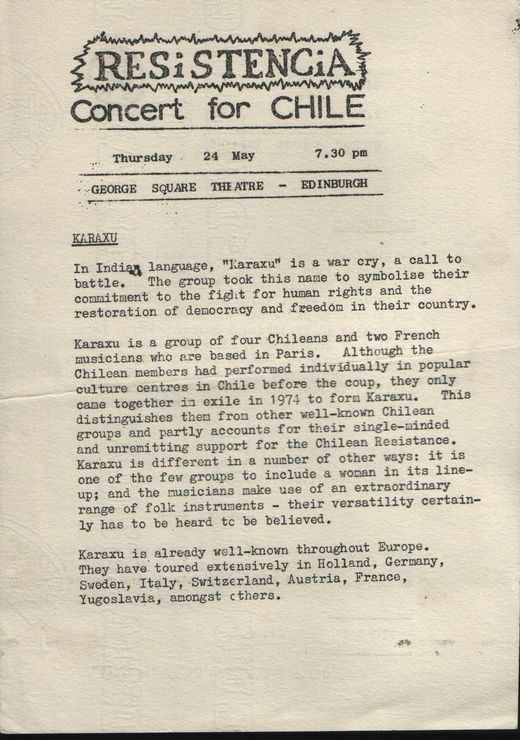 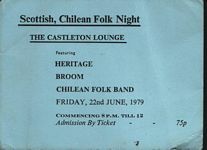 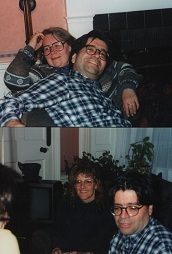 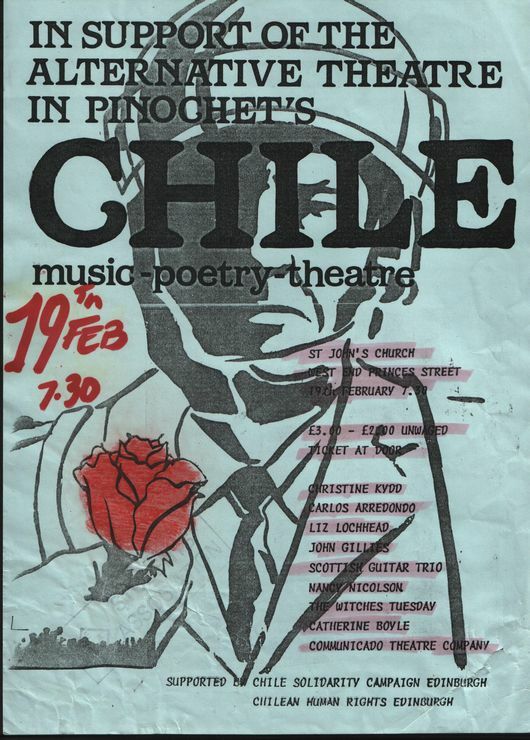 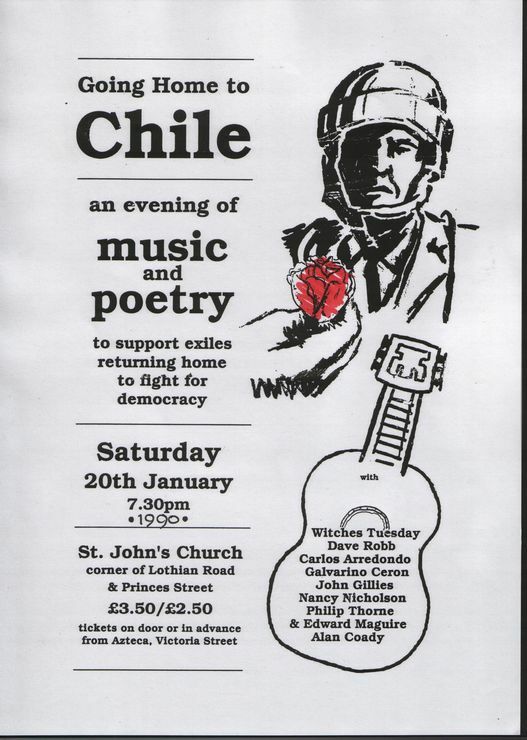 A Chilean night organised by the Chileans in Edinburgh. 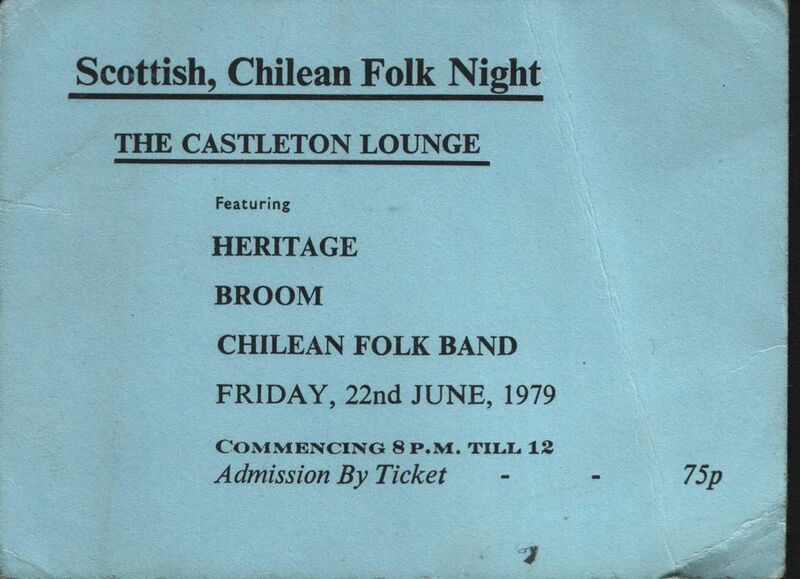 I played here and I met my future wife. 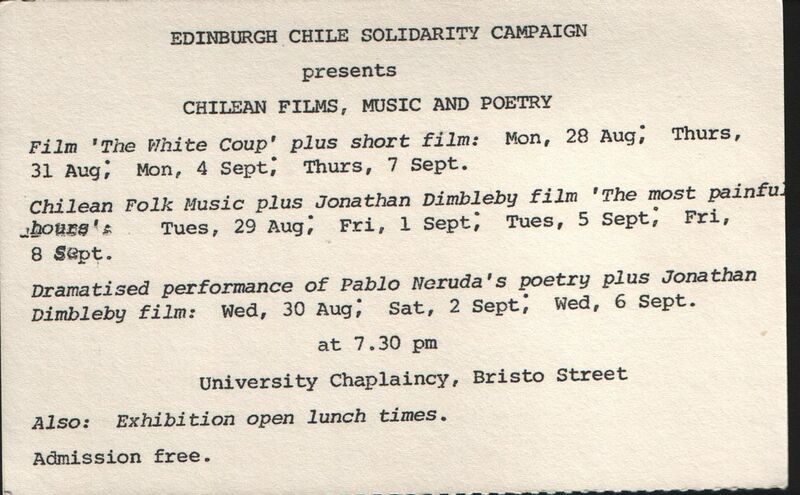 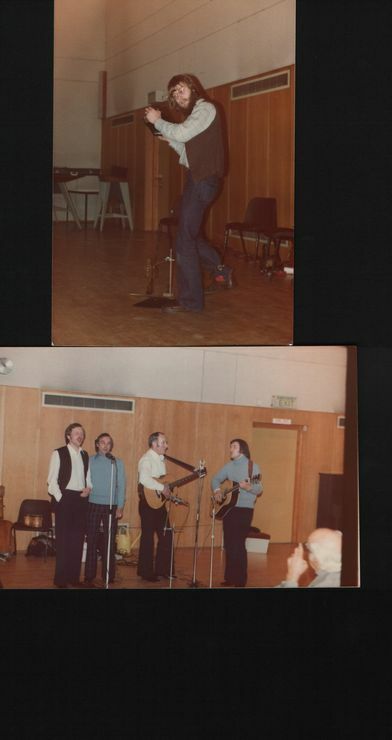 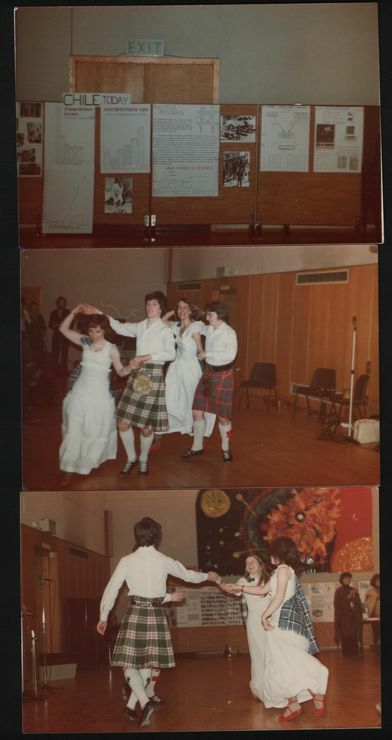 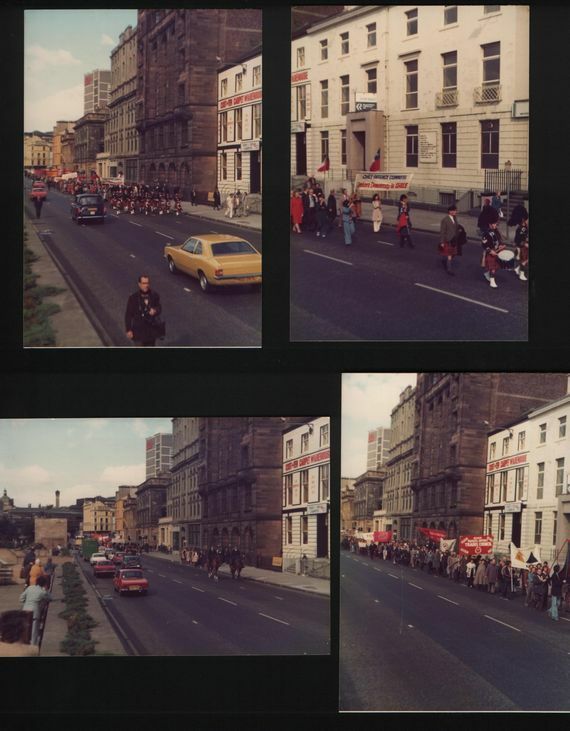 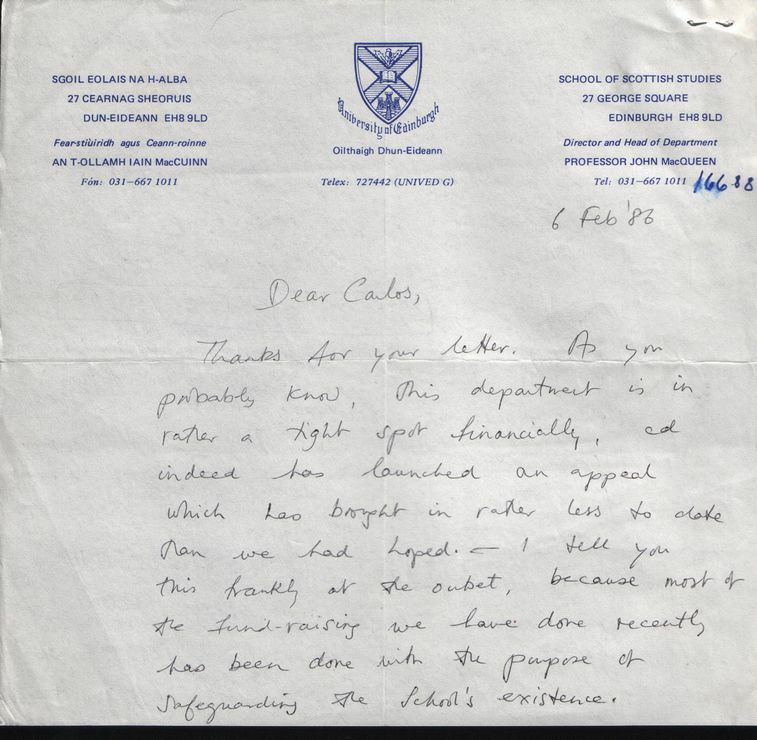 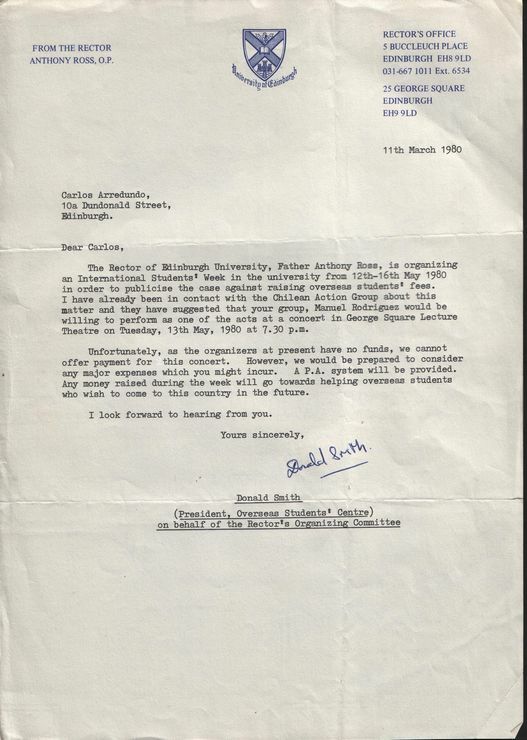 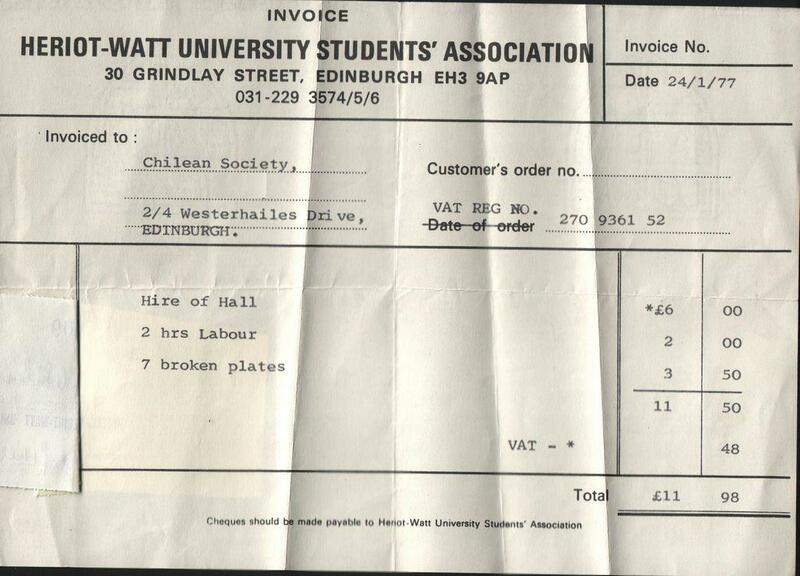 1977, Edinburgh University. 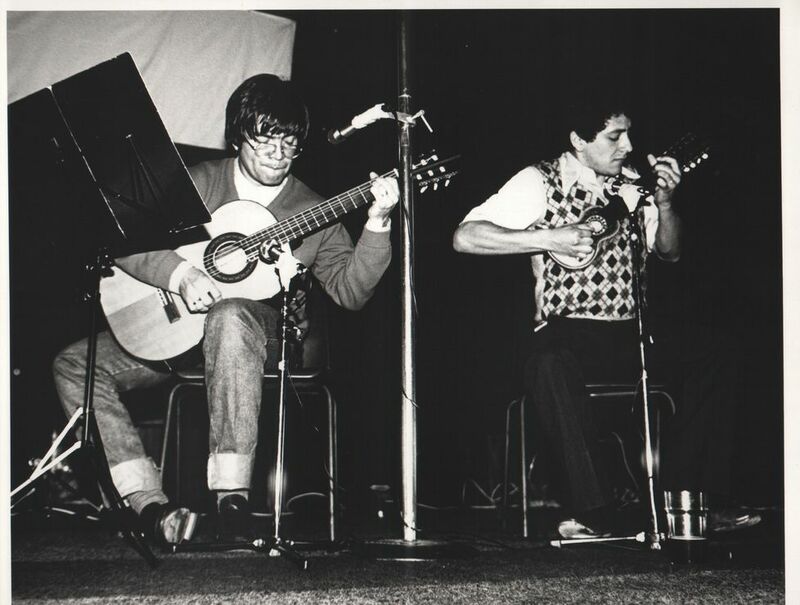 With my group Manuel Rodriguez playing at a Karaxu Concert. 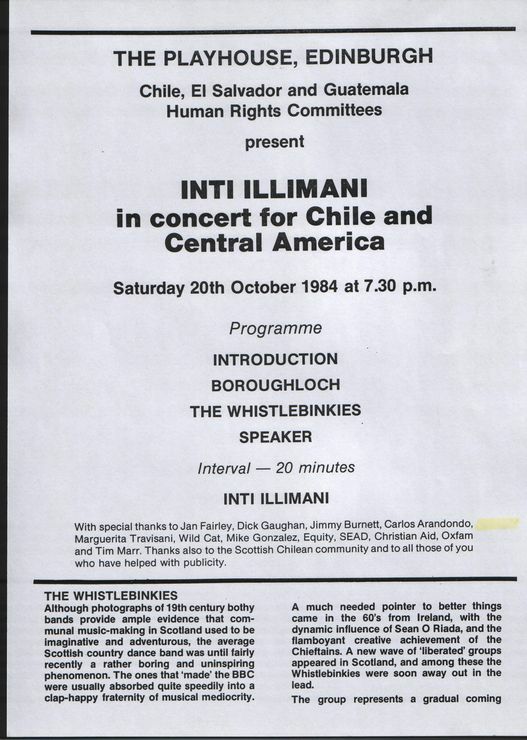 tireless with the Chileans in Glasgow. 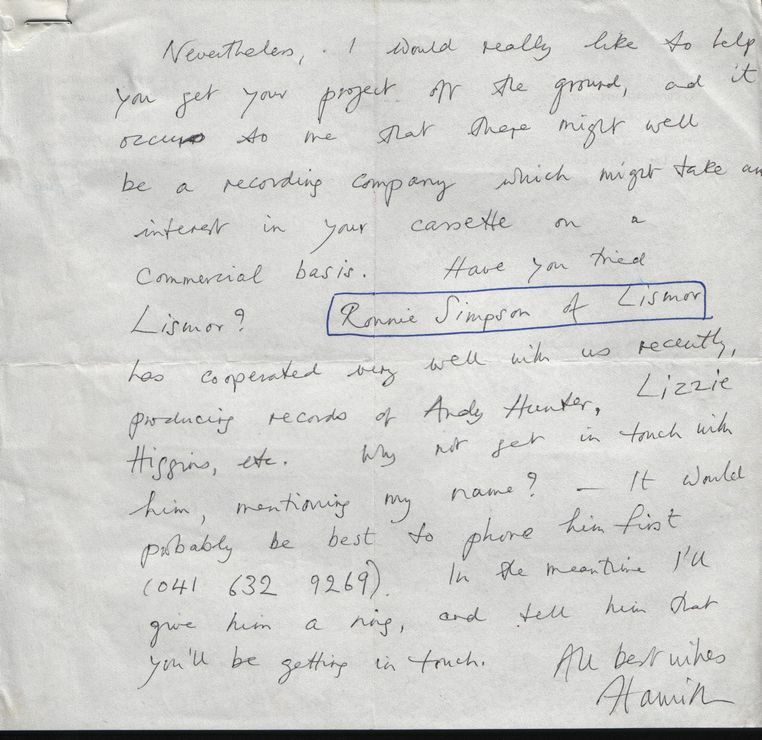 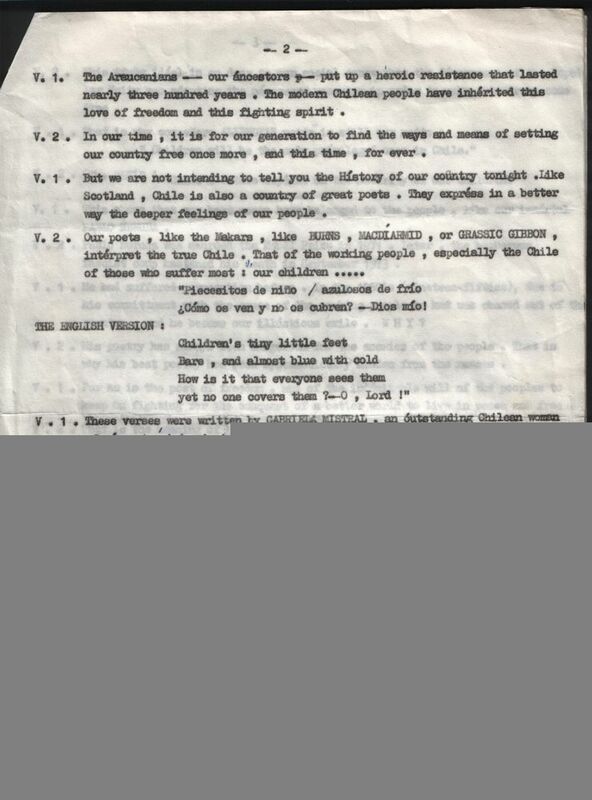 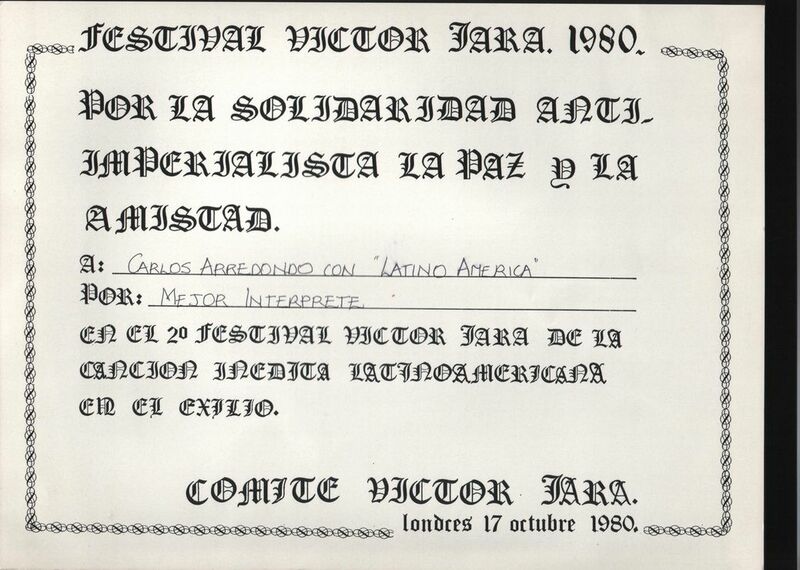 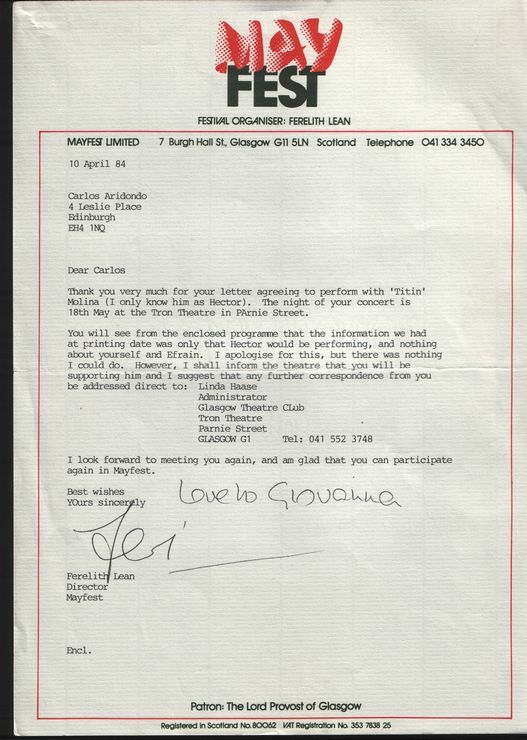 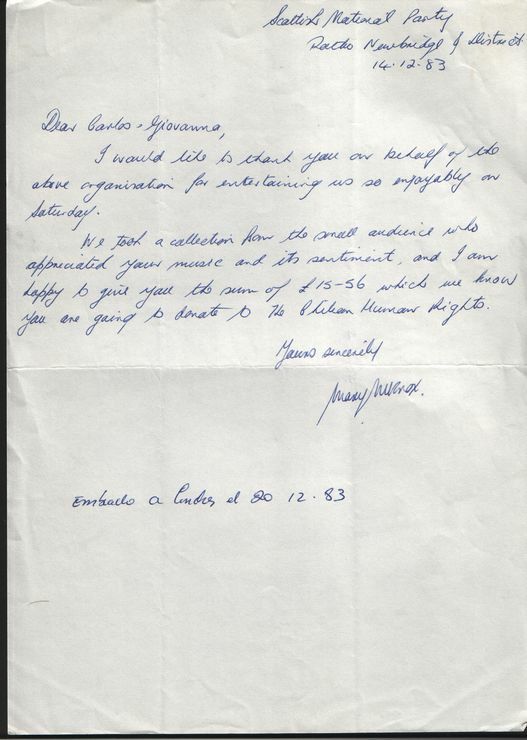 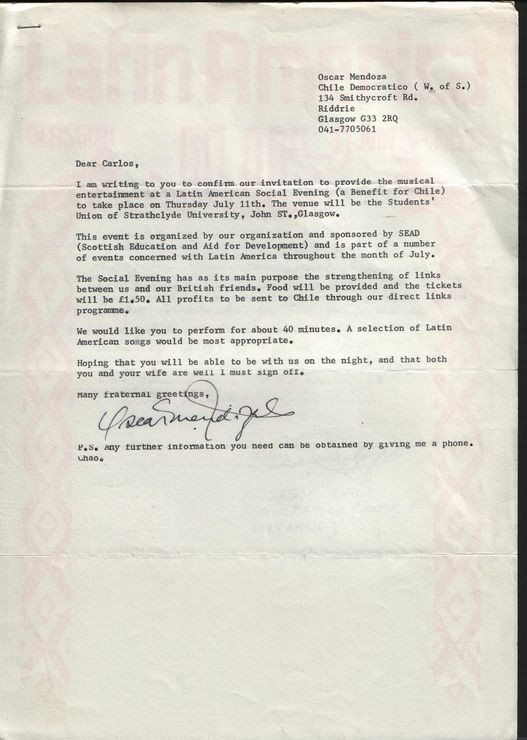 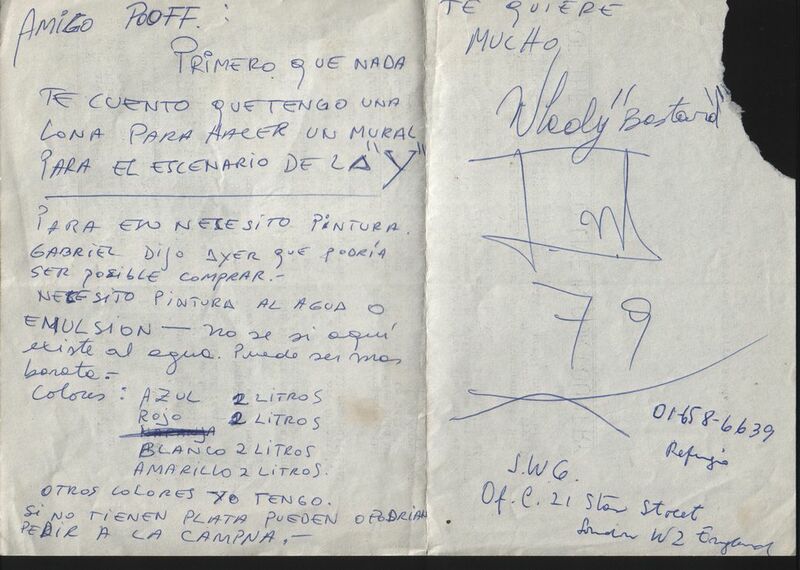 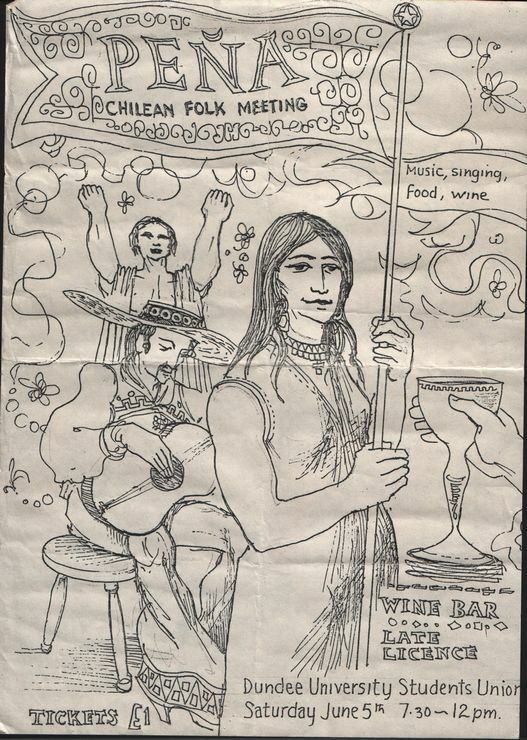 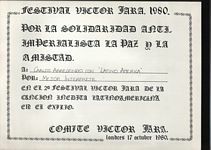 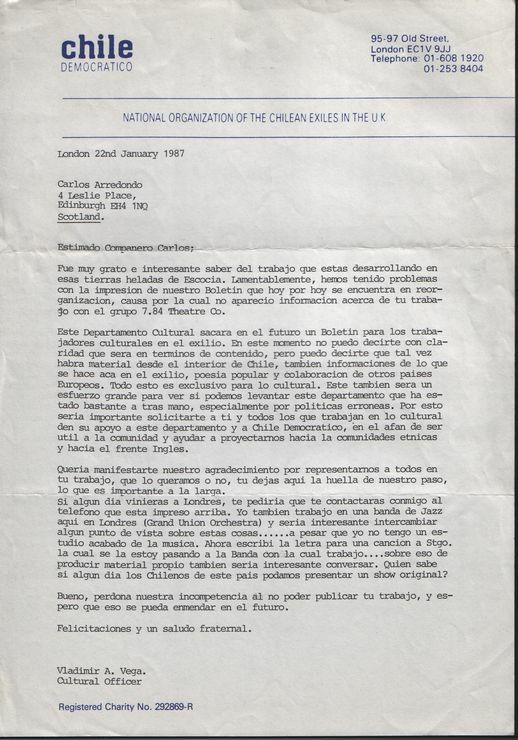 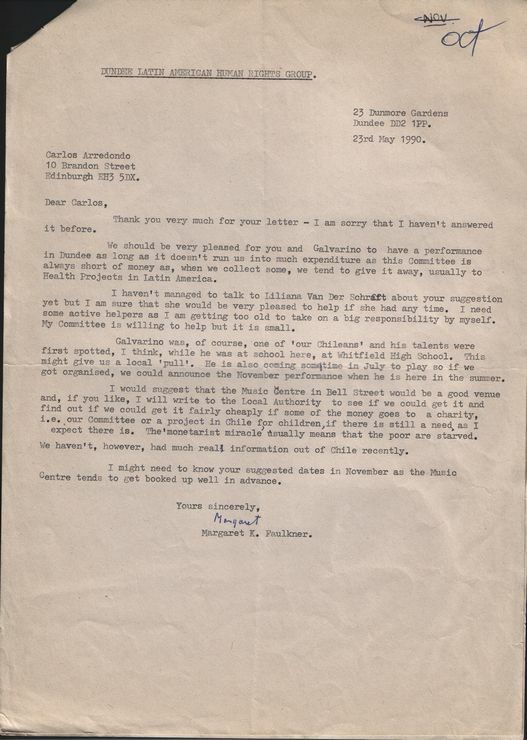 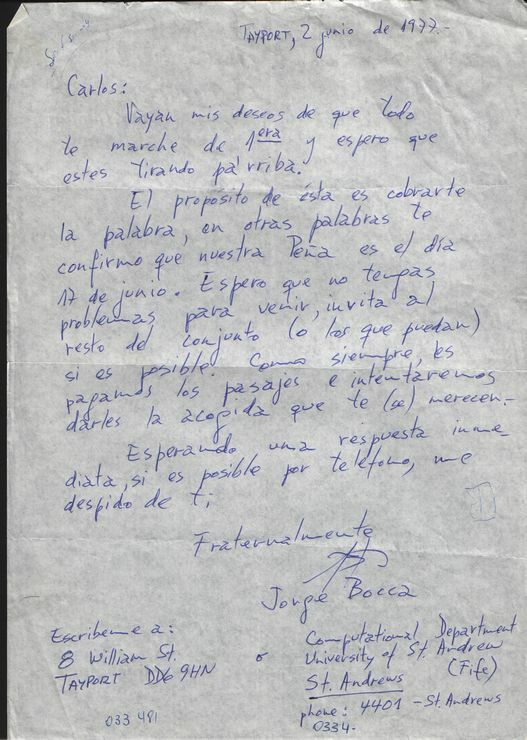 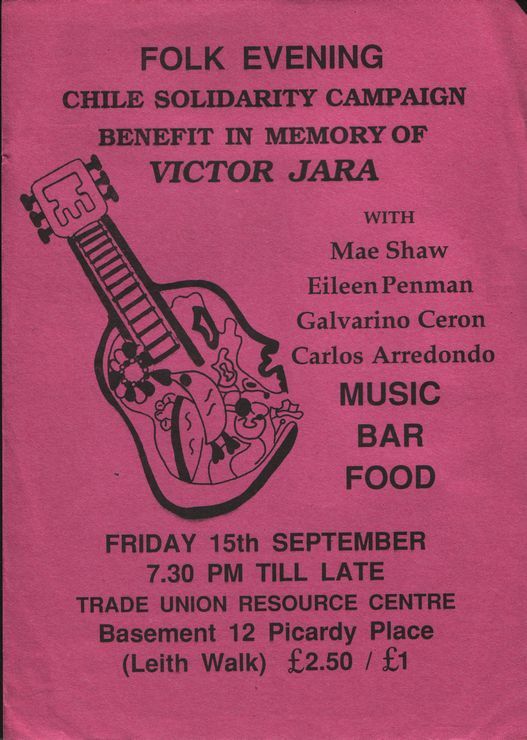 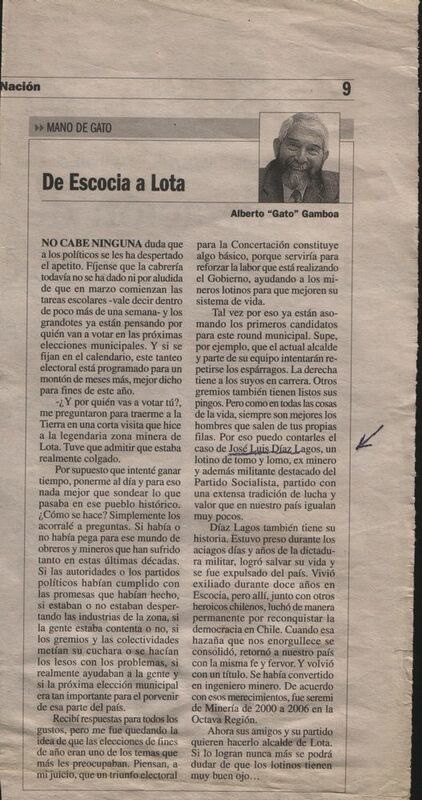 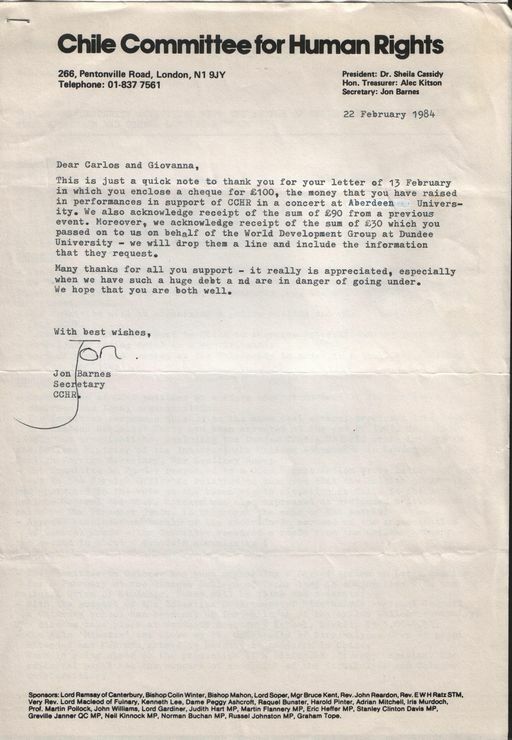 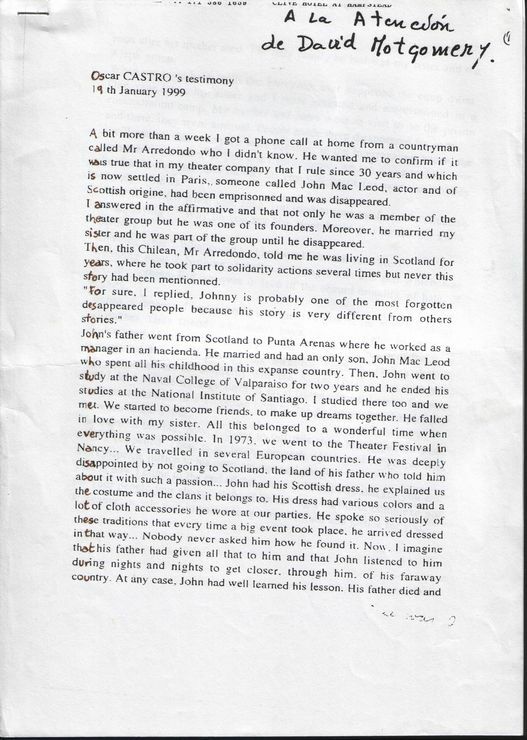 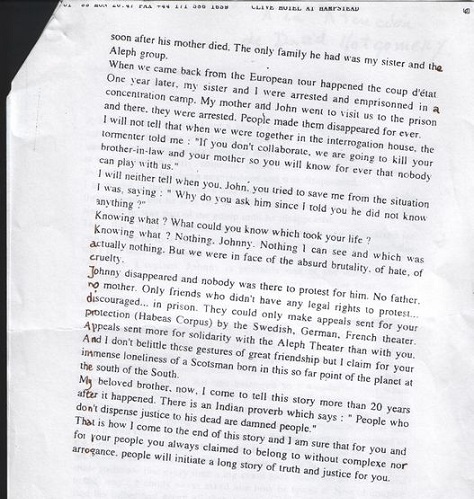 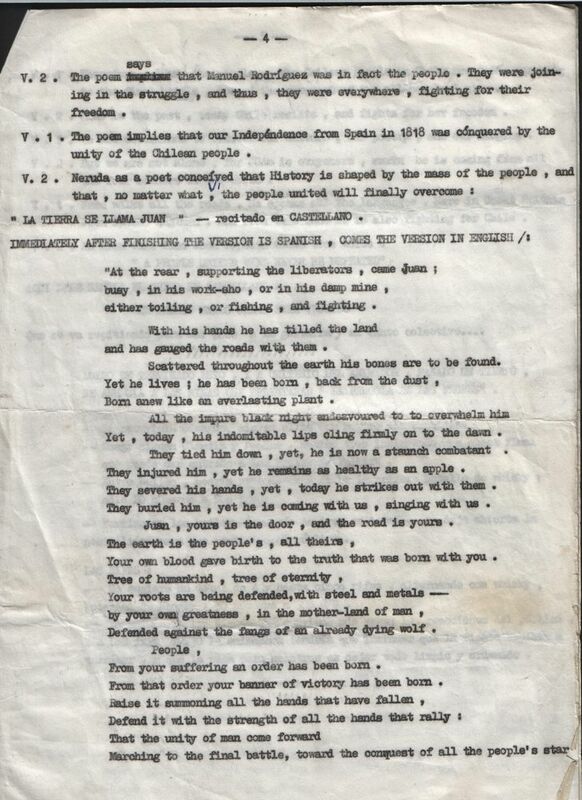 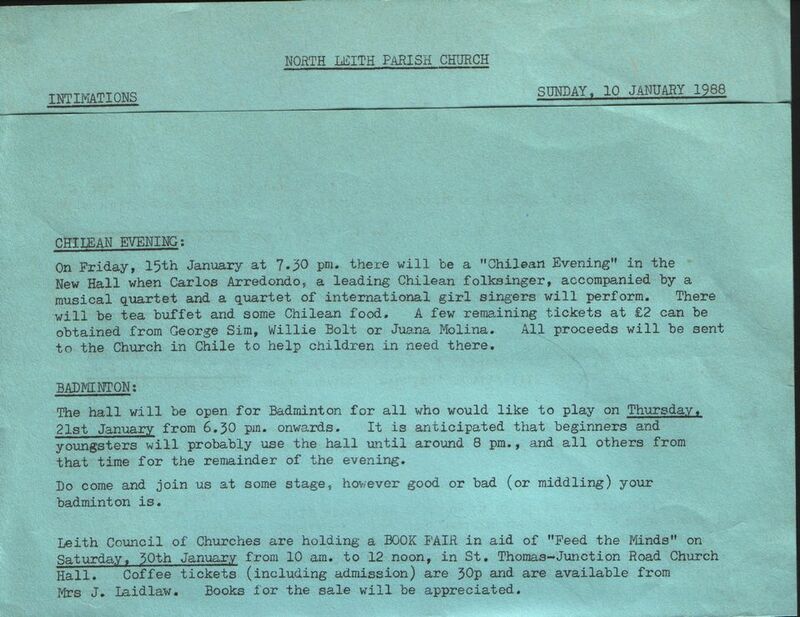 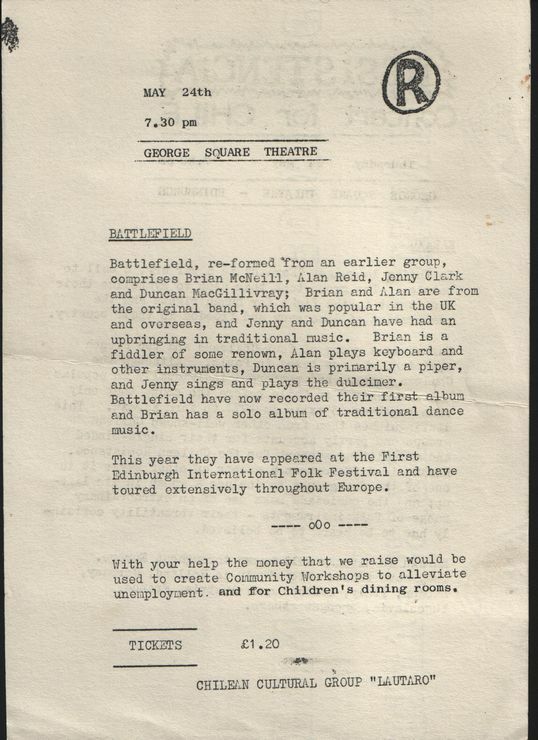 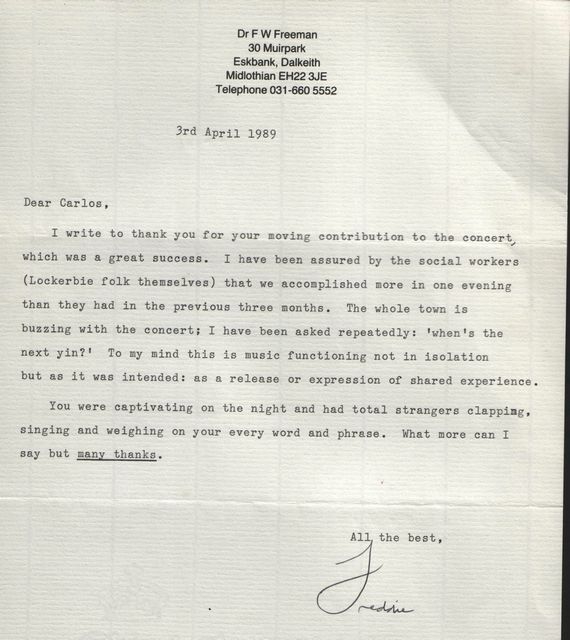 "1980, London, Victor Jara music festival I was voted the best interpreter"
"1988. 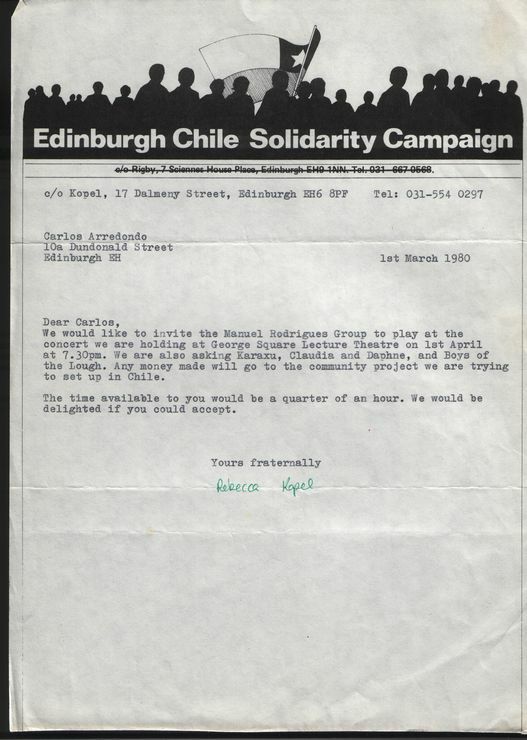 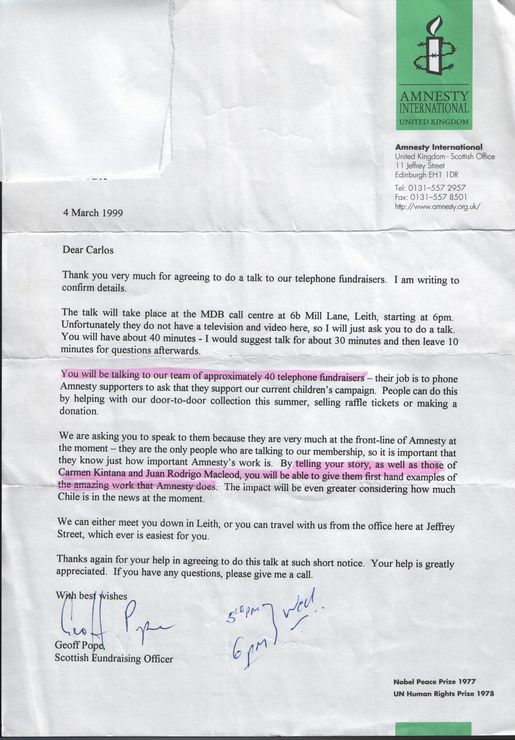 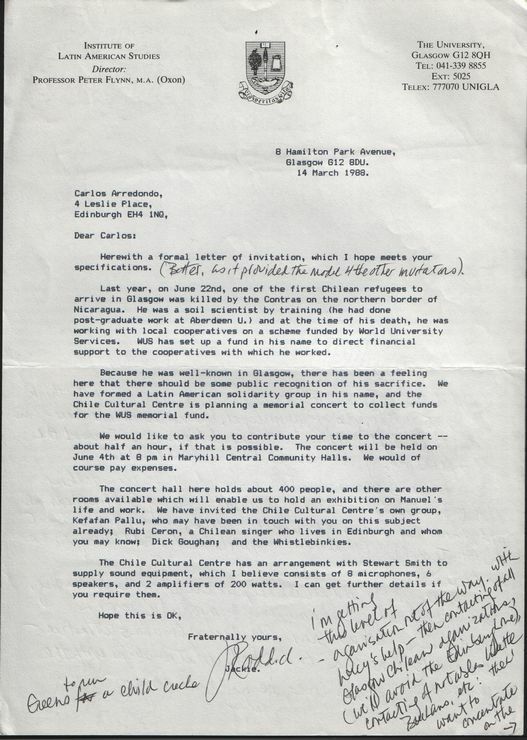 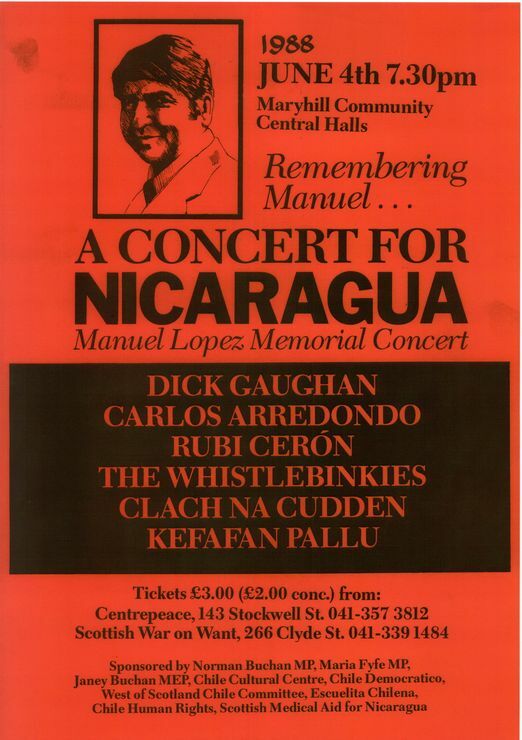 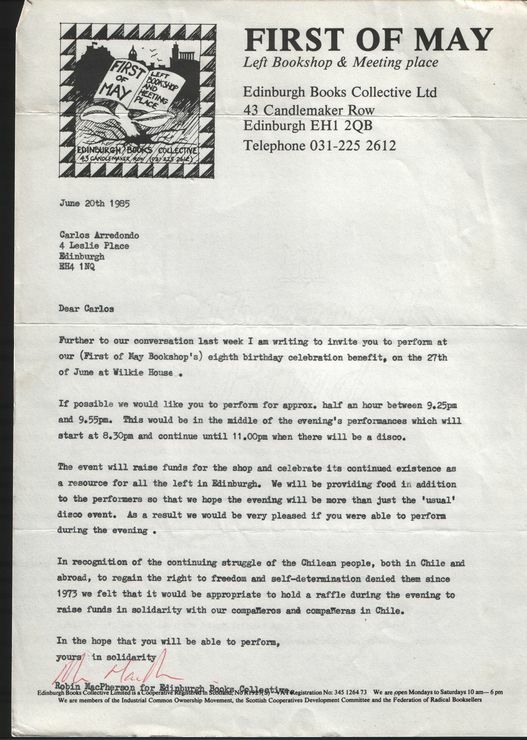 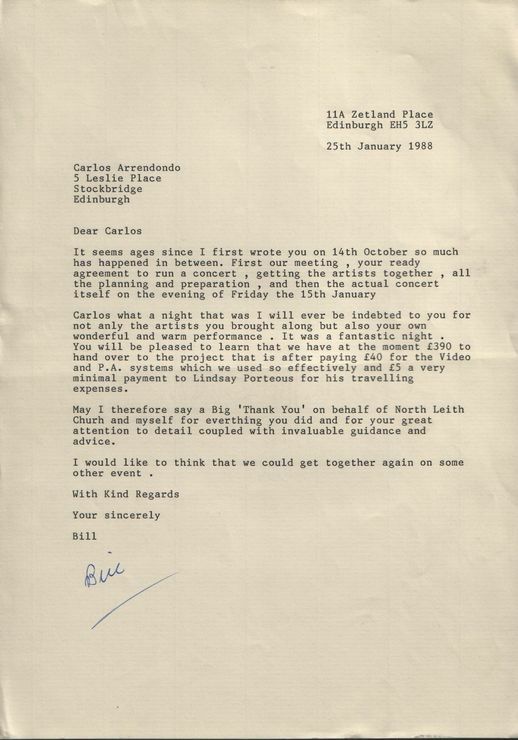 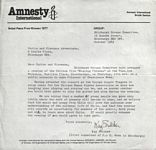 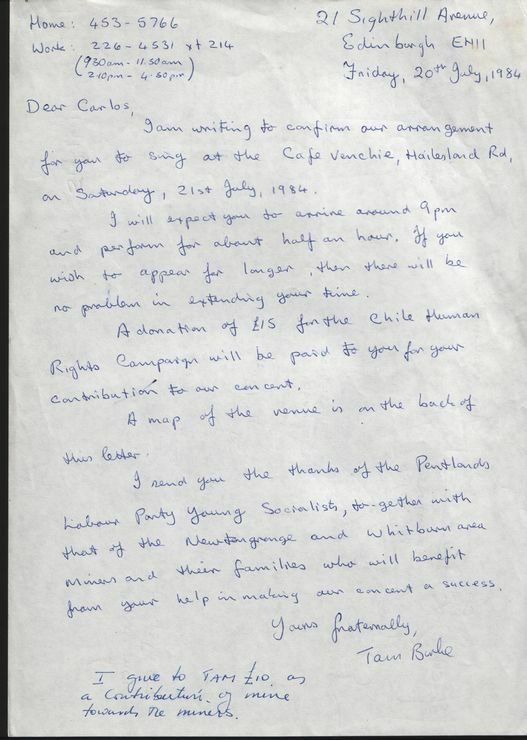 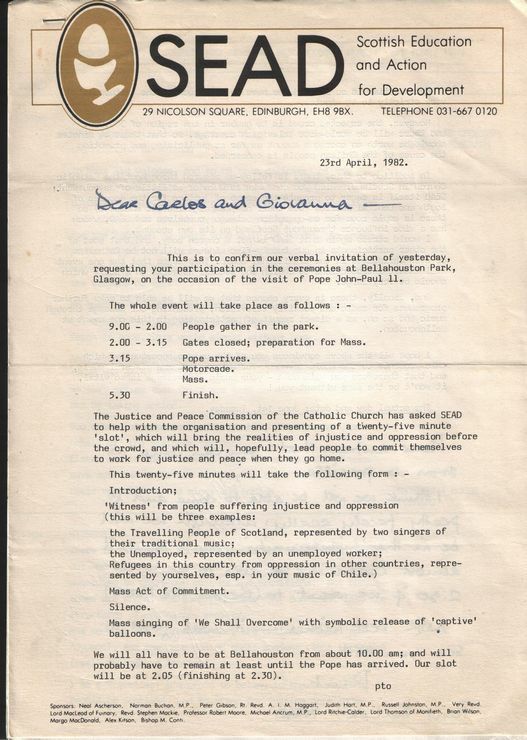 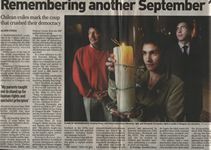 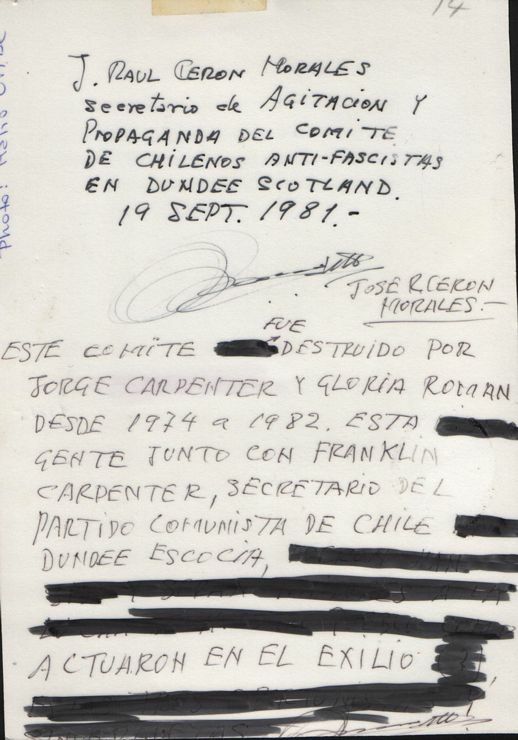 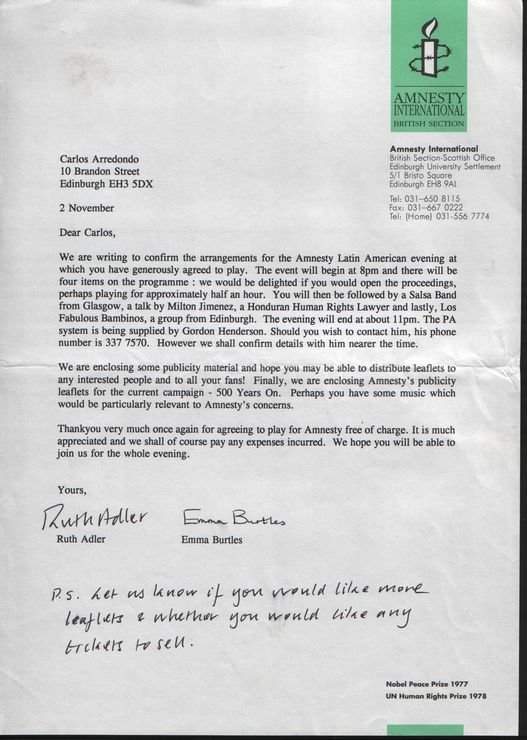 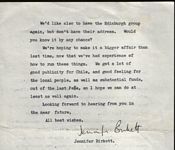 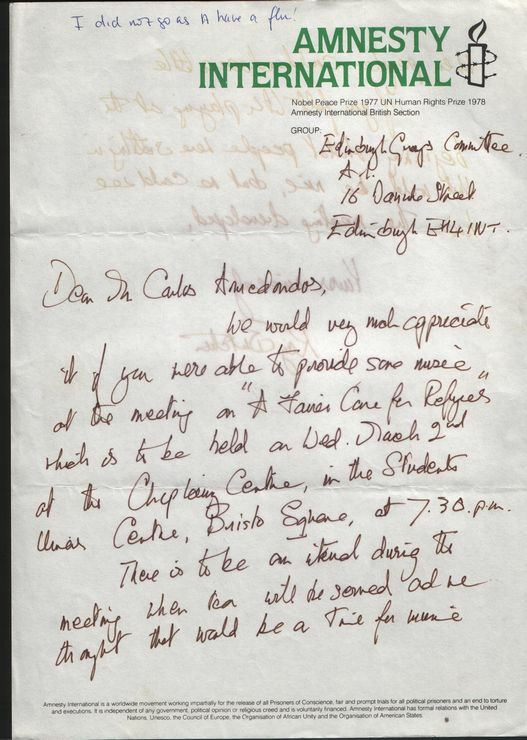 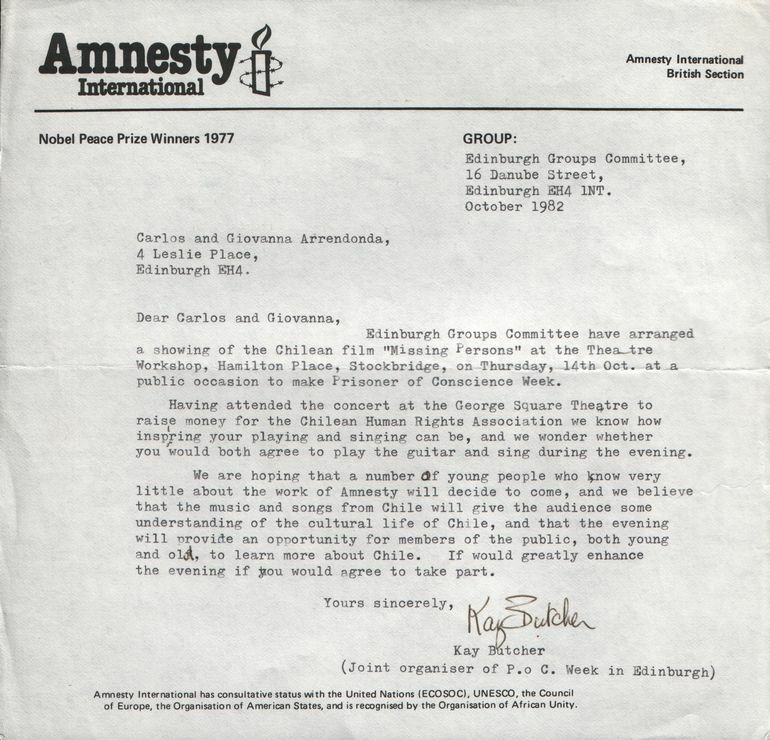 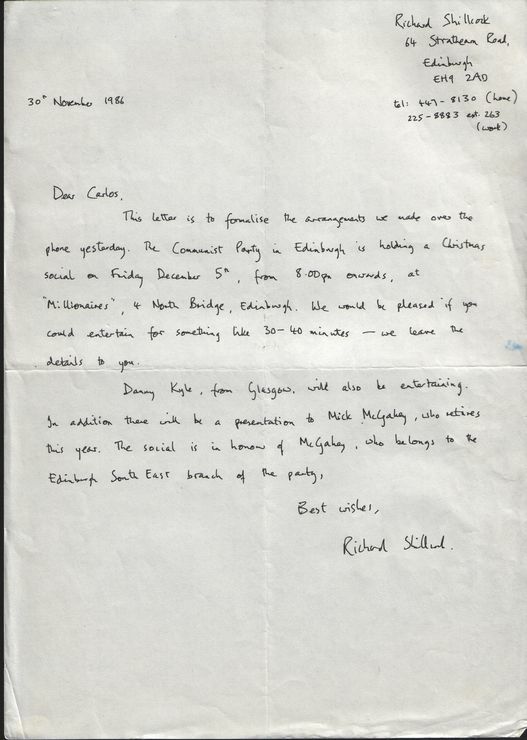 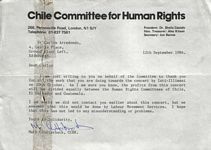 The North Leith Church, Edinburgh, helping Chile"
"1989, Solidarity with the people of Lockerbie"
me a room in her Glasgow flat in 1974".